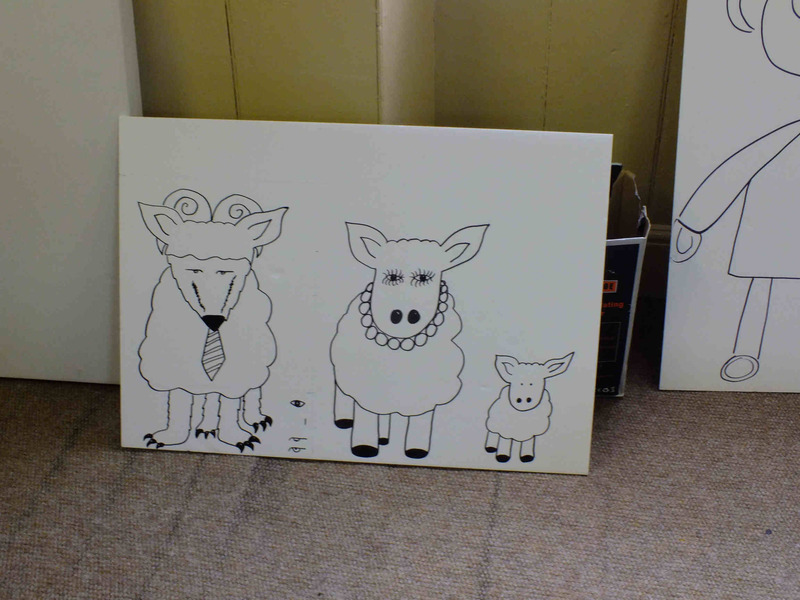 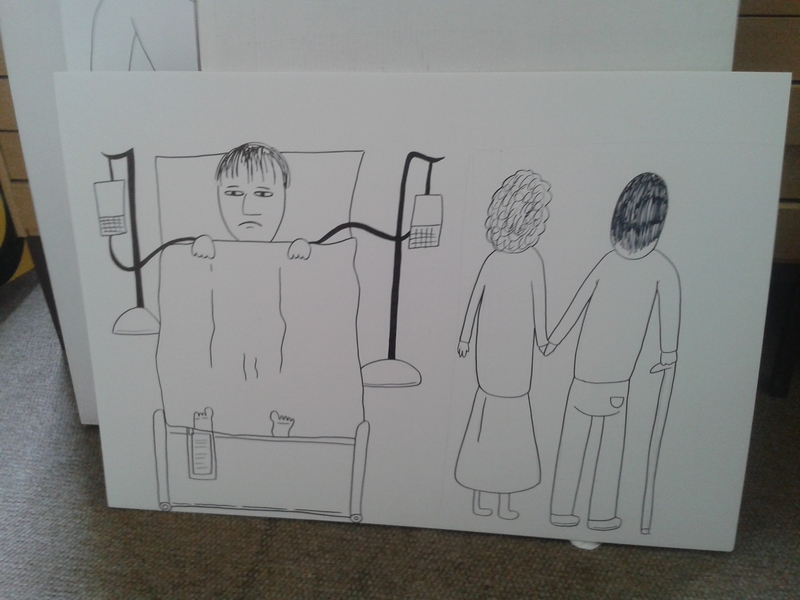 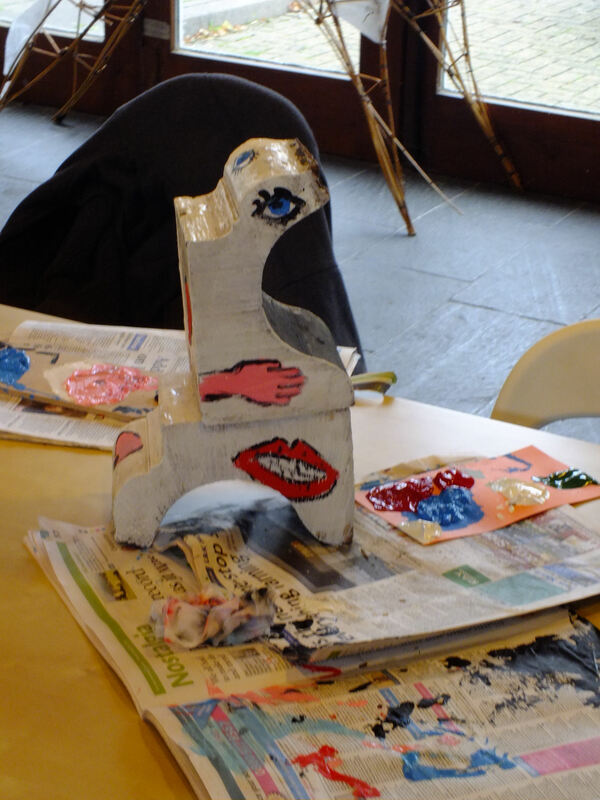 The WellArt group today looked at work by the outsider artist Pat Douthwaite, who created quirky portraits. 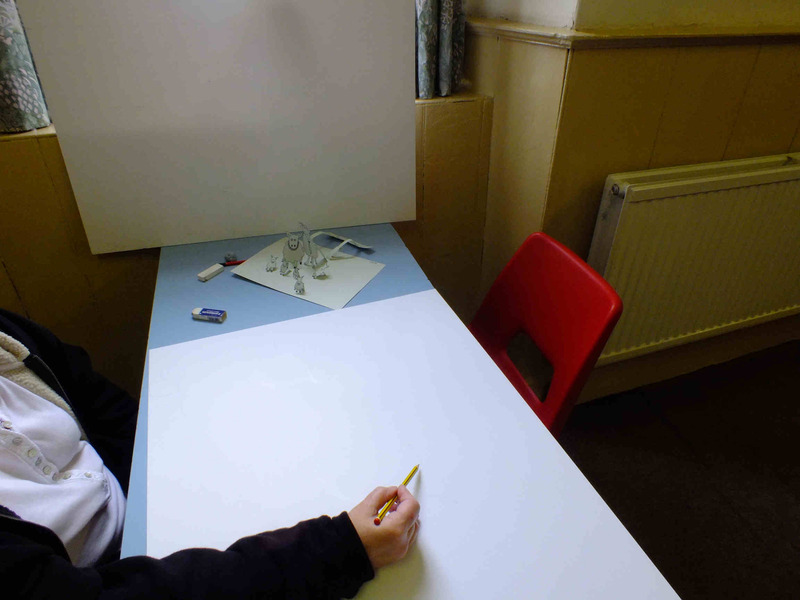 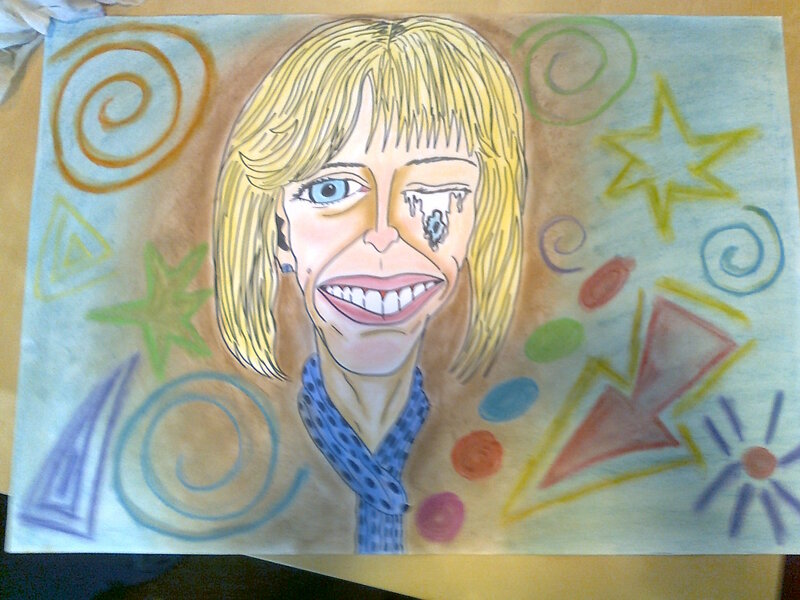 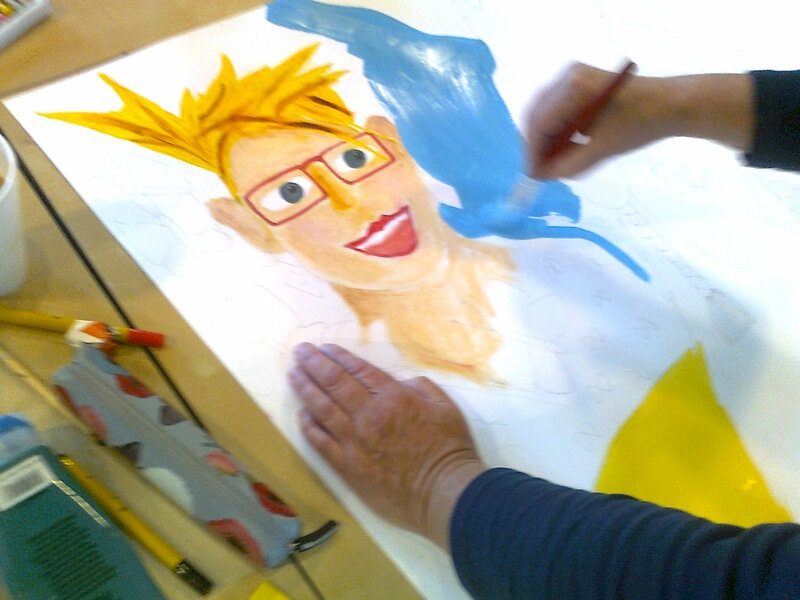 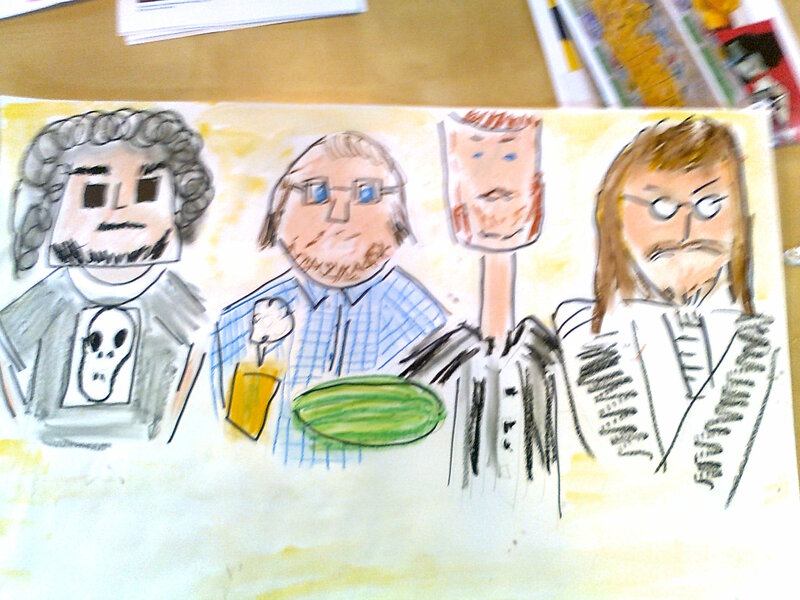 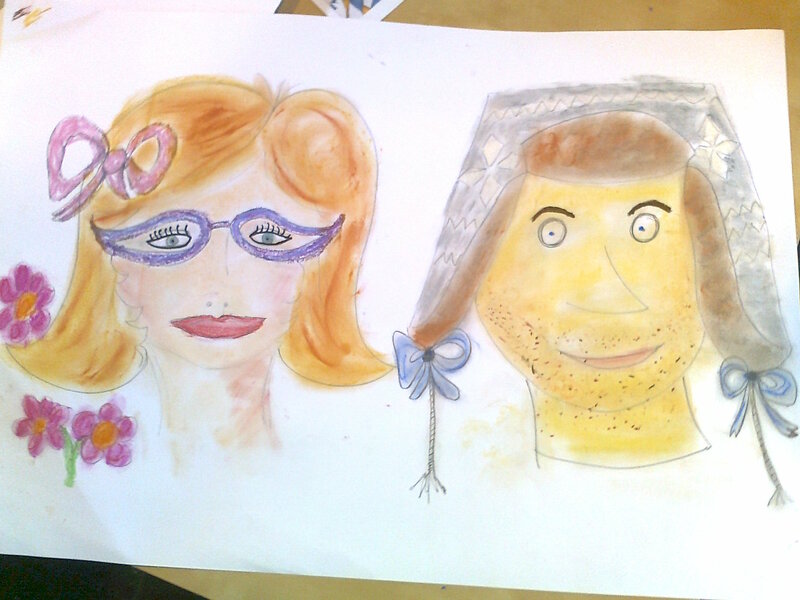 We then used a variety of mixed media to create portraits of each other in the WellArt group. 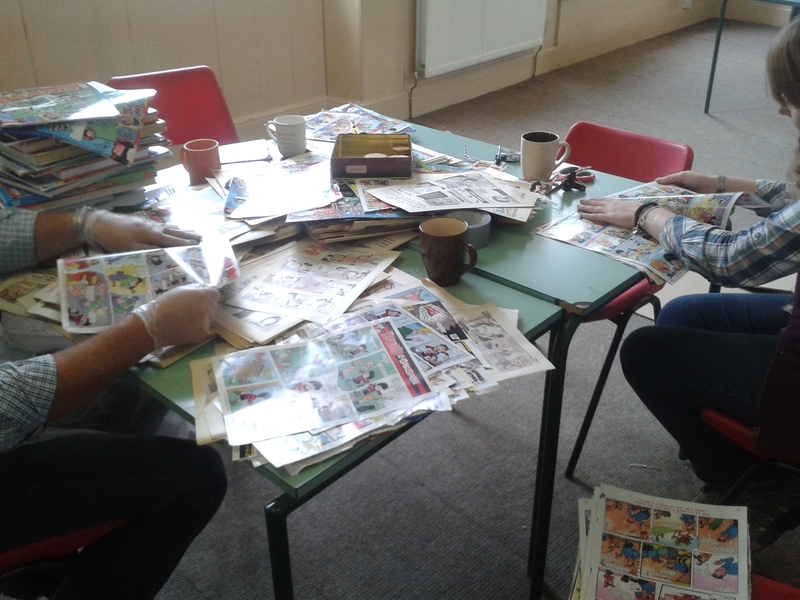 Today the group was hemmed in a corner as the Comic Art Festival window project took over again. 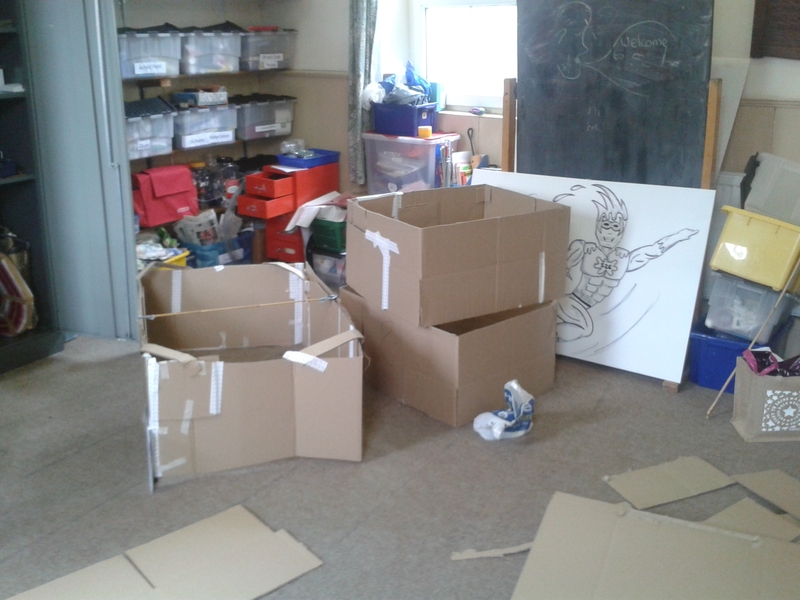 Large boxes being covered in comics. 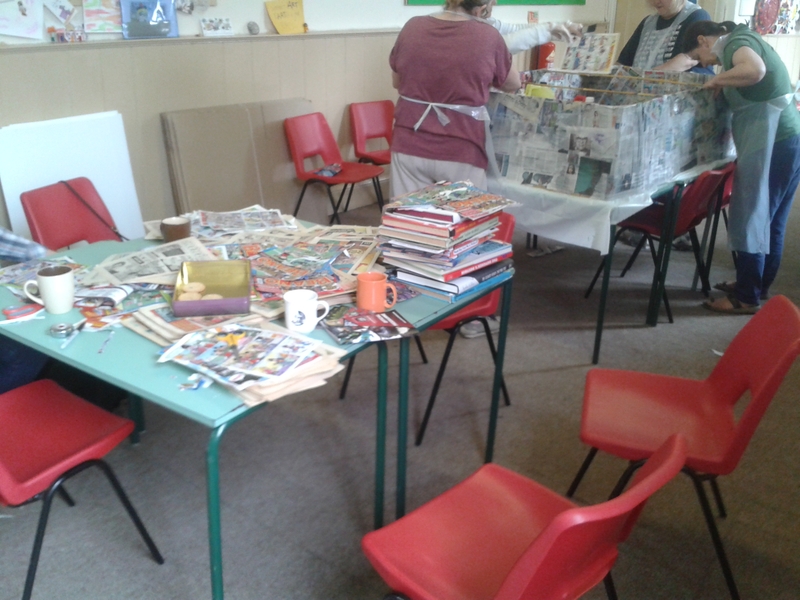 Some made items getting ready for Christmas and some where getting down to the pva and comic fun. 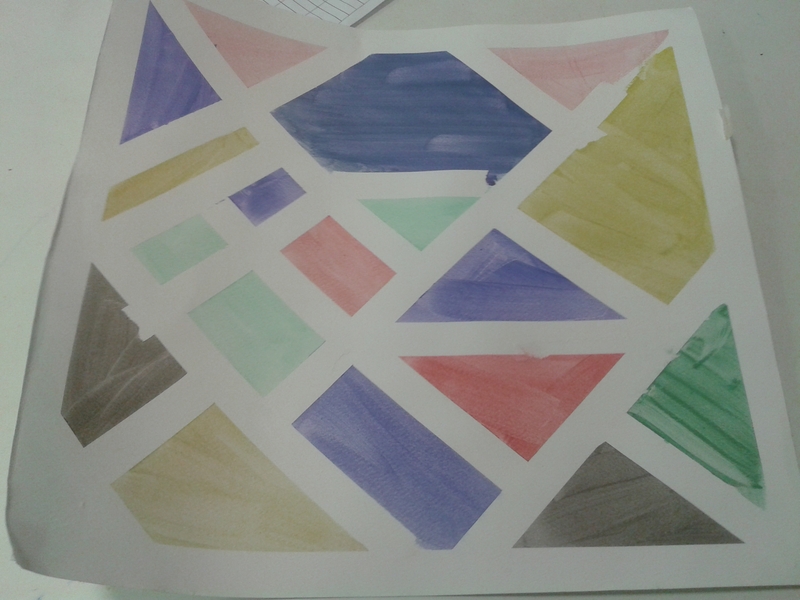 Why is it that in bringing an art project to a conclusion it looks a complete disaster area. 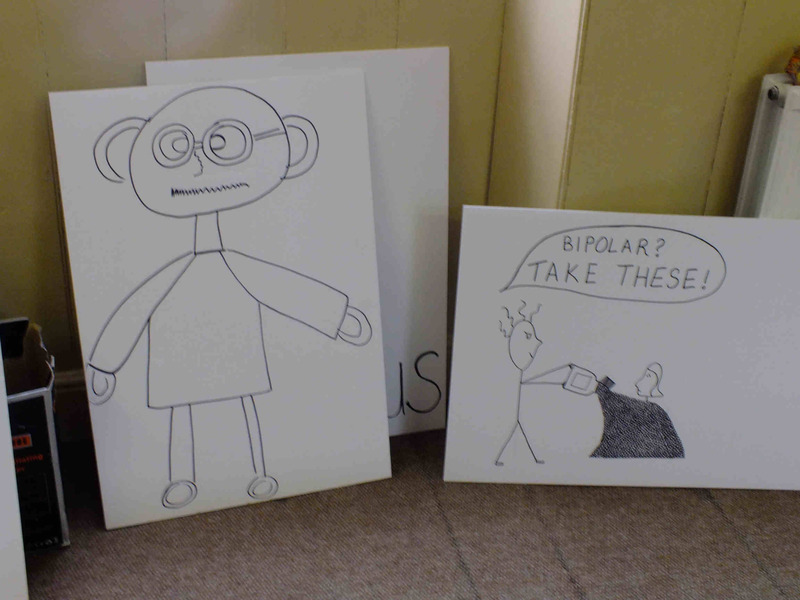 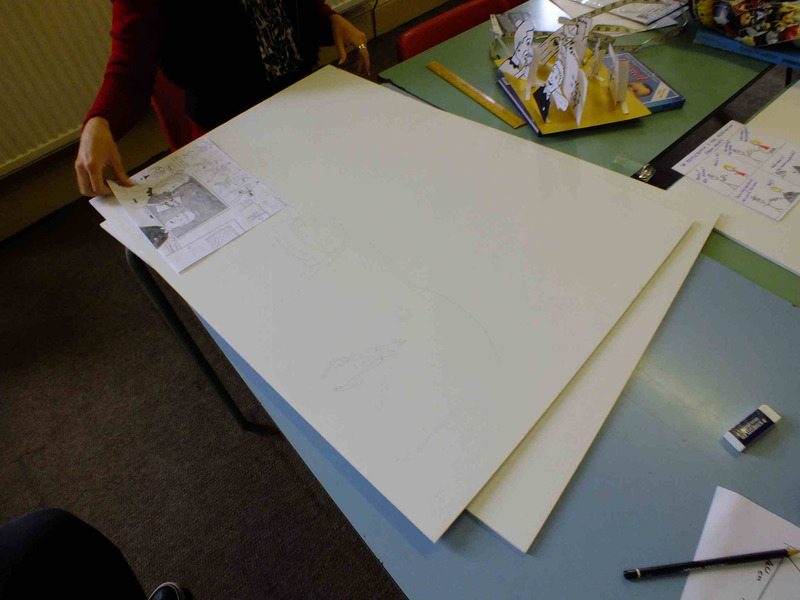 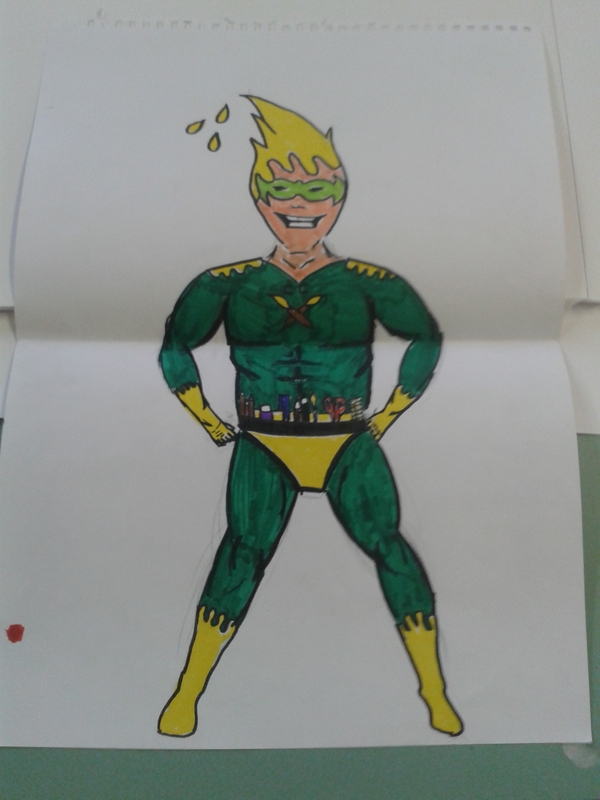 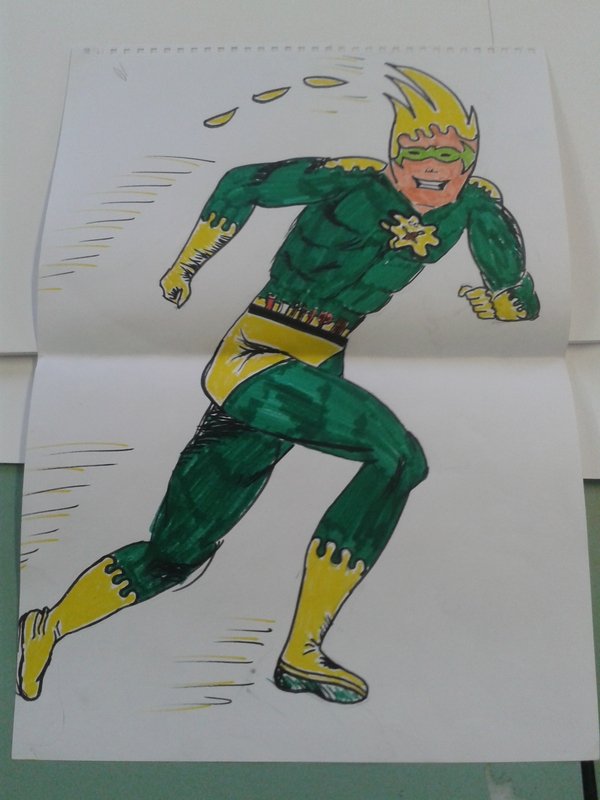 Don’t panic still a week to go before the Comic Art Destival trail window has to be in place! 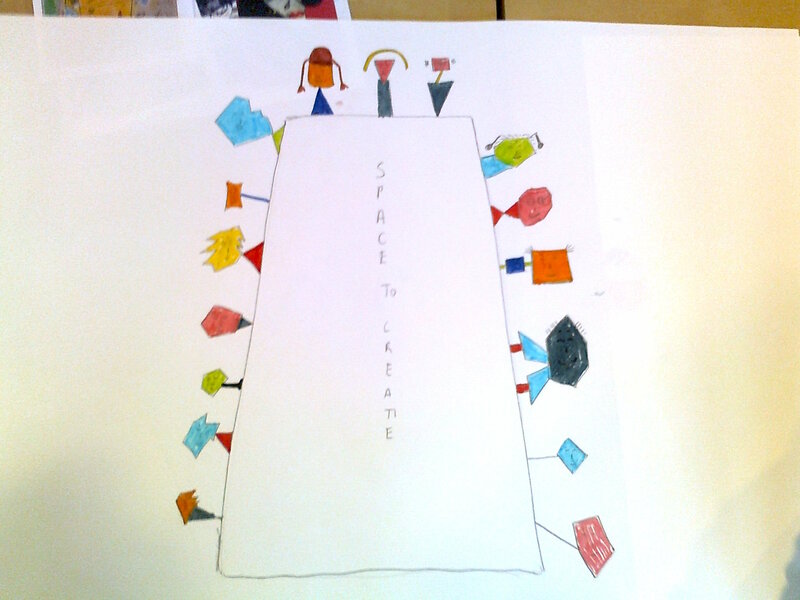 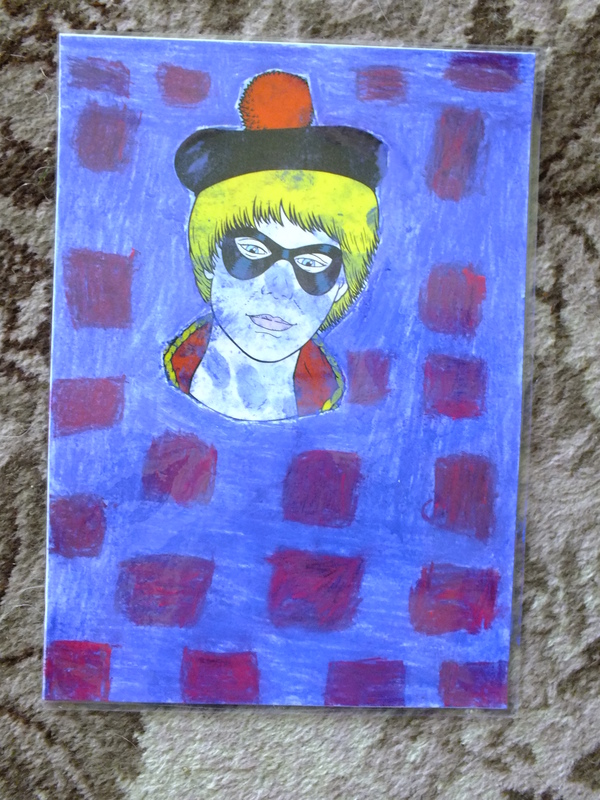 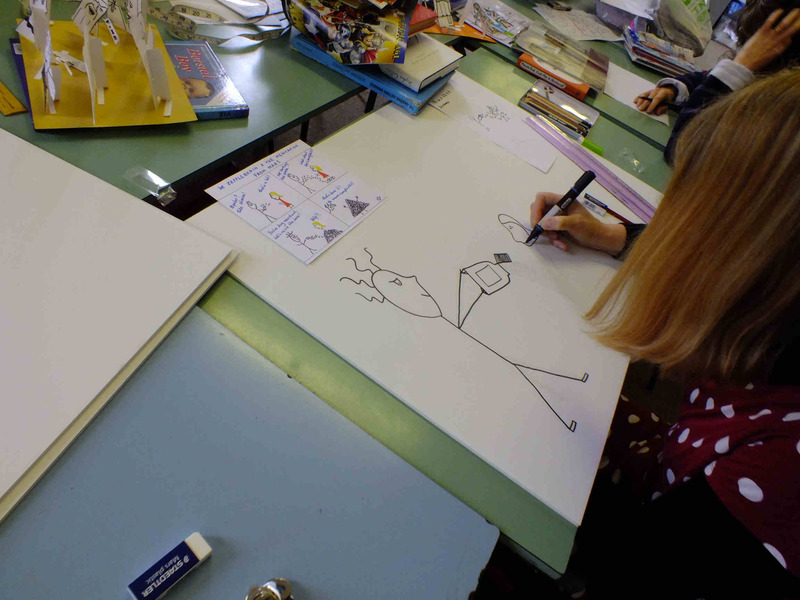 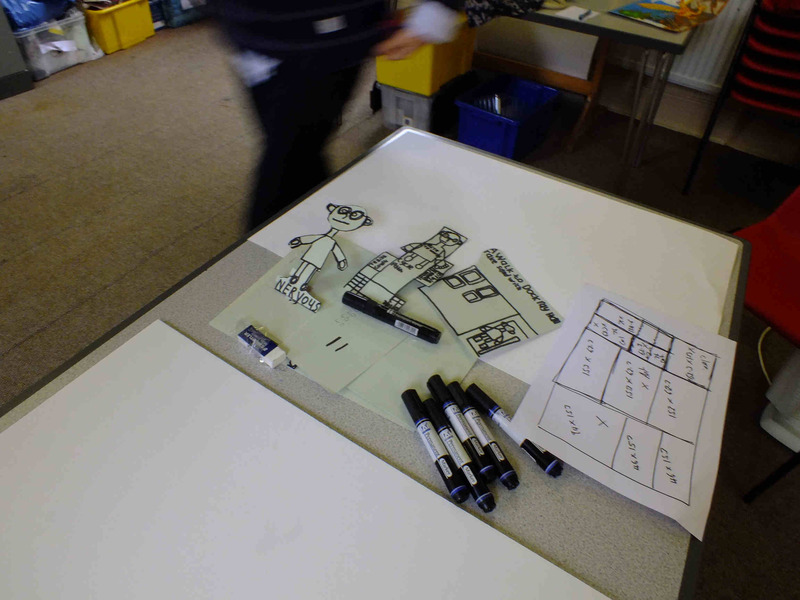 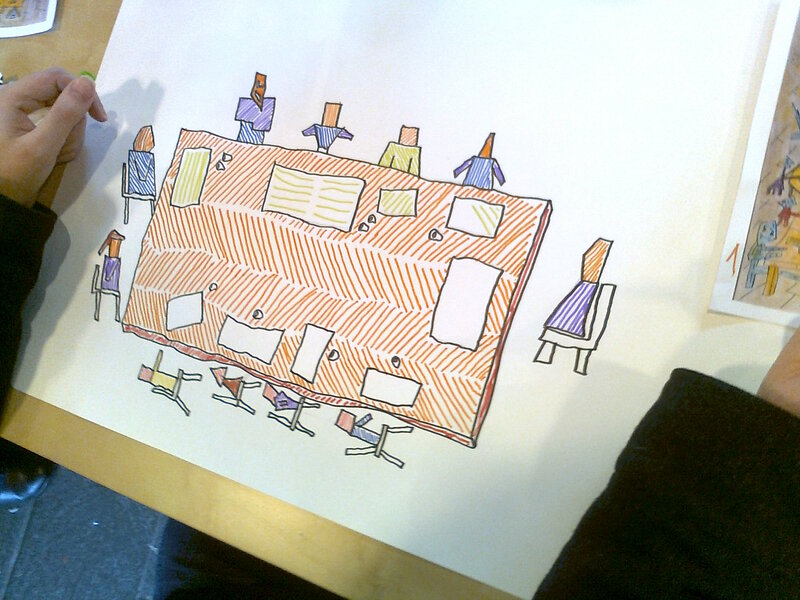 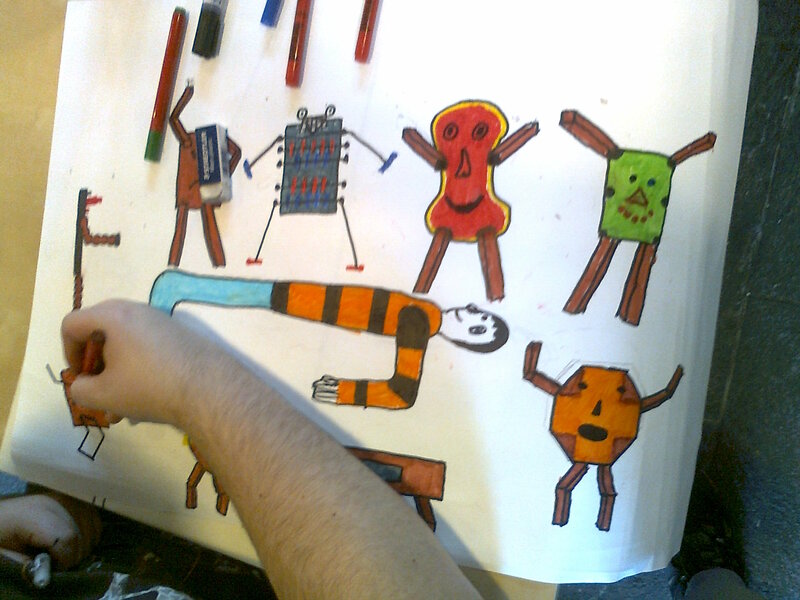 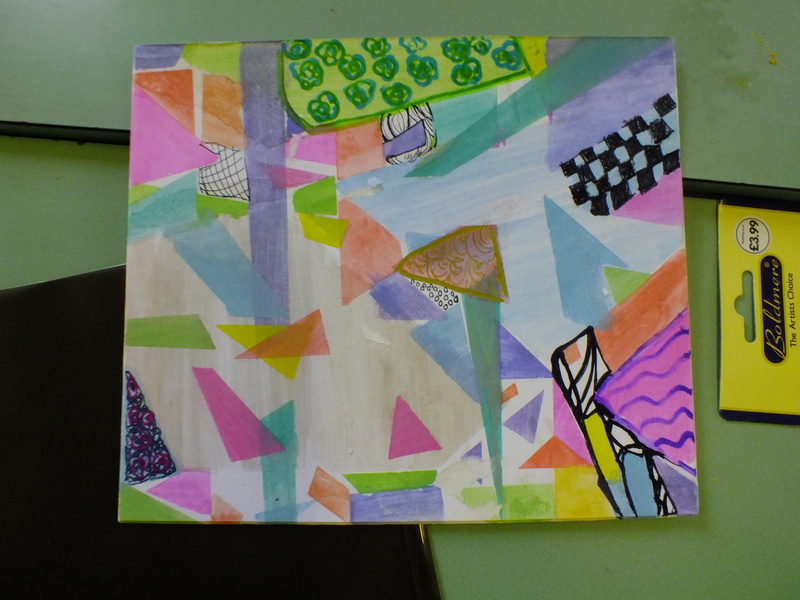 WellArt today drew on the cubist pictures we did a few weeks ago. 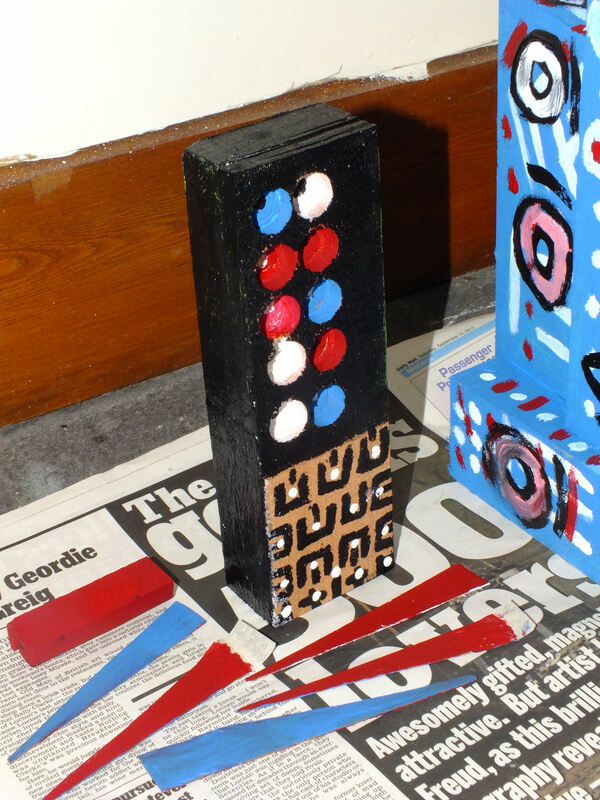 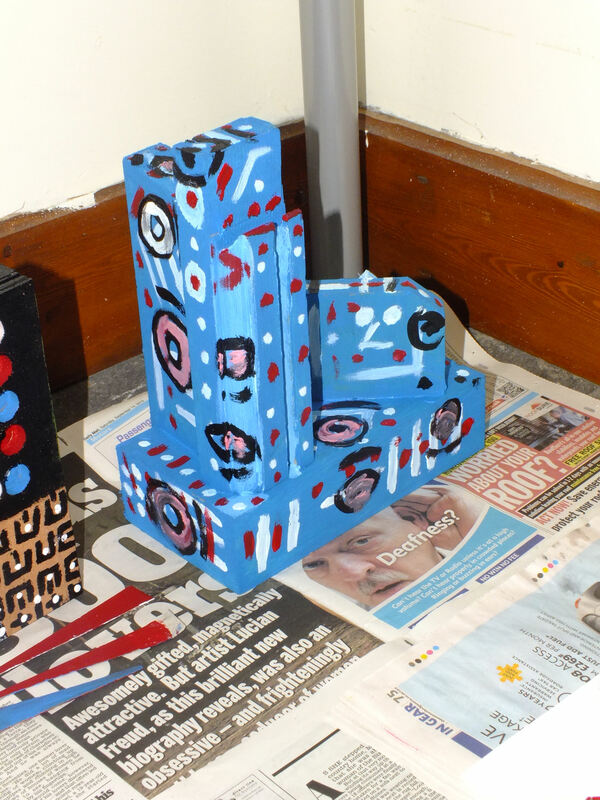 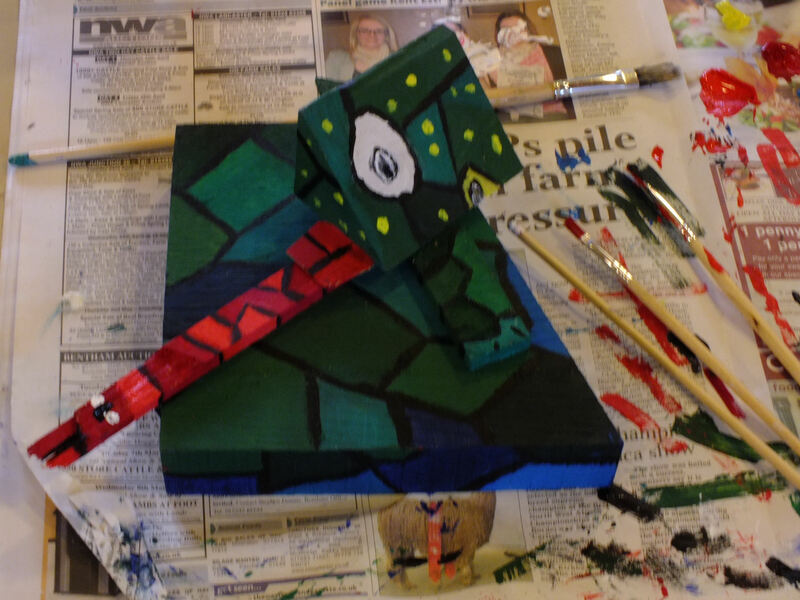 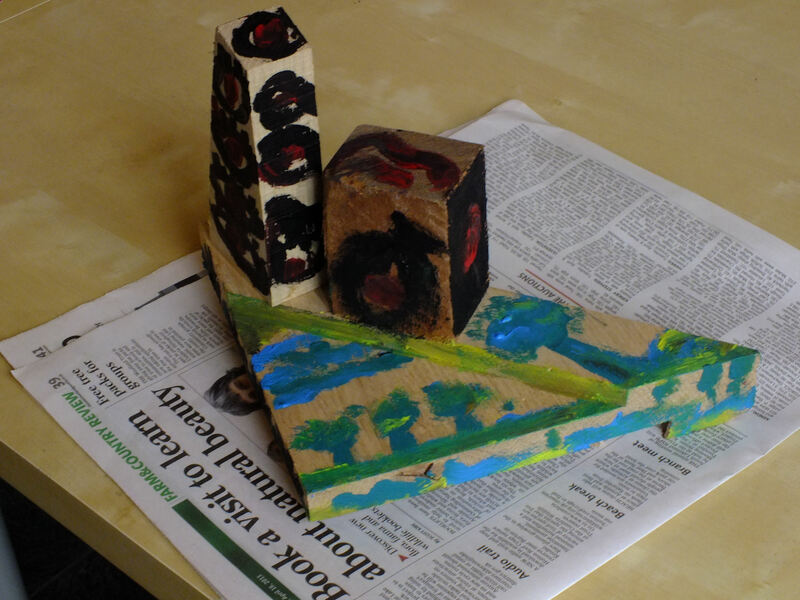 This time though we went 3-D; painting up blocks of odd-shaped wooden offcuts. 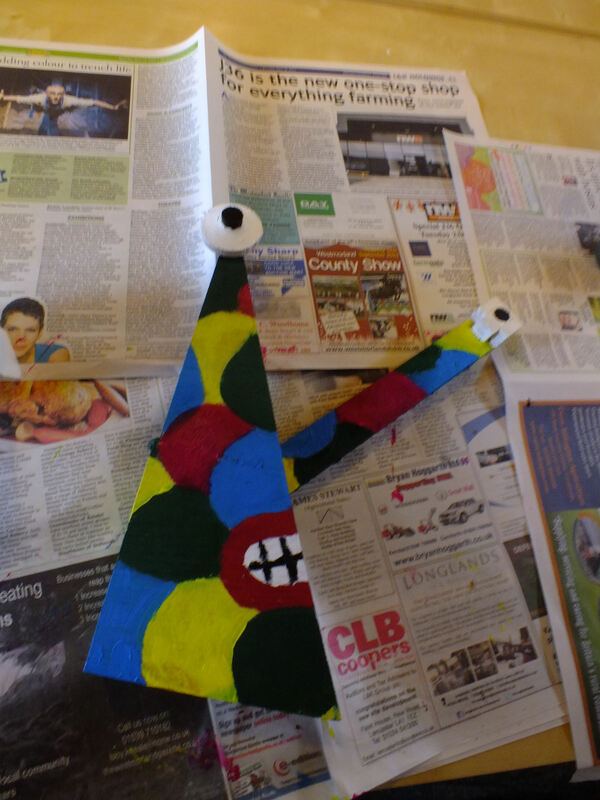 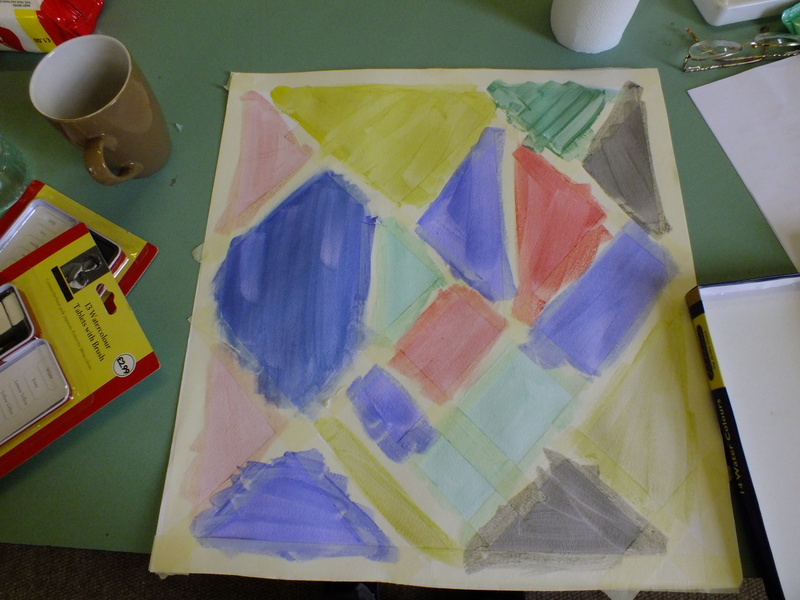 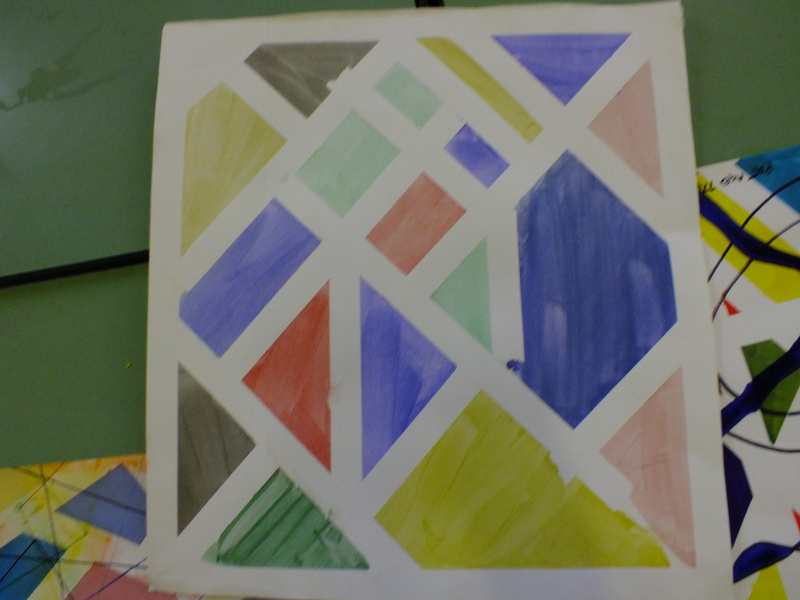 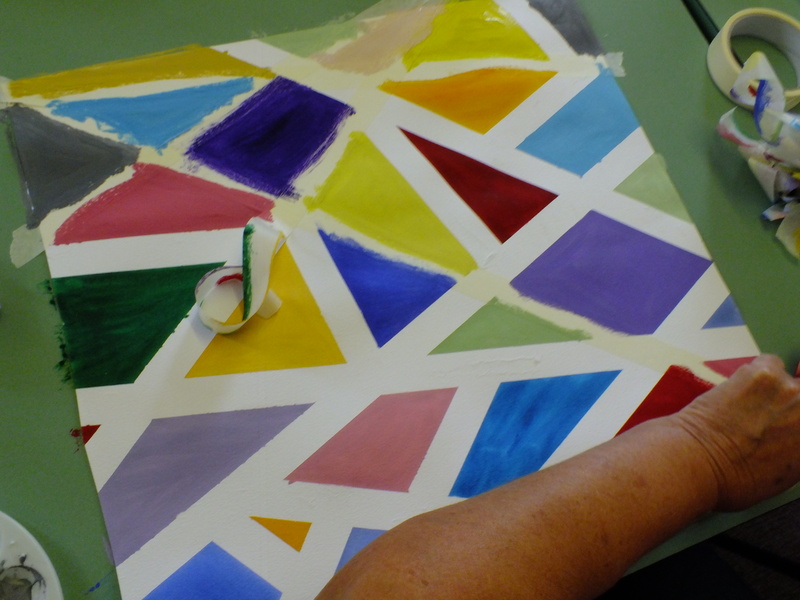 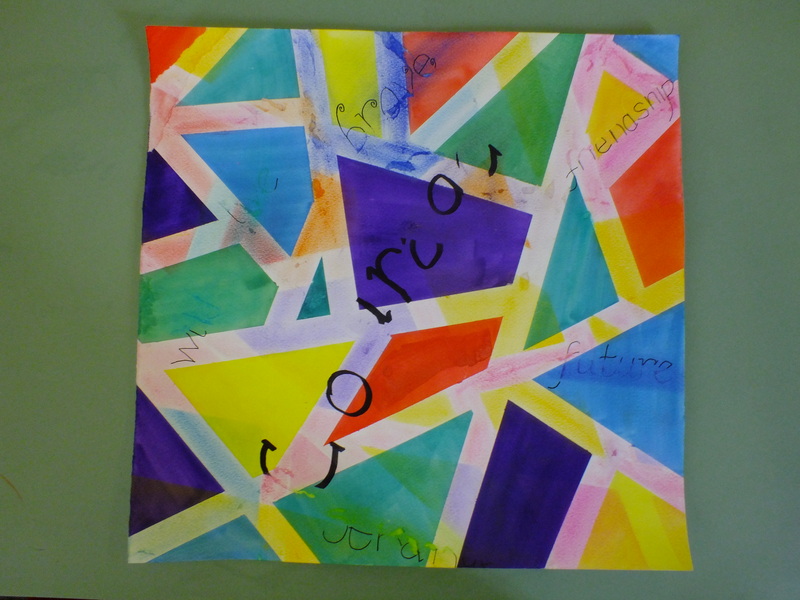 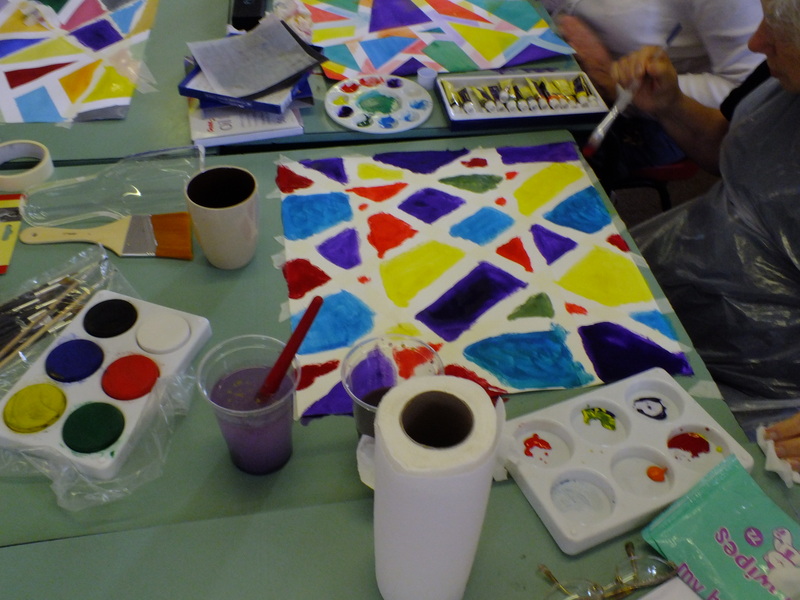 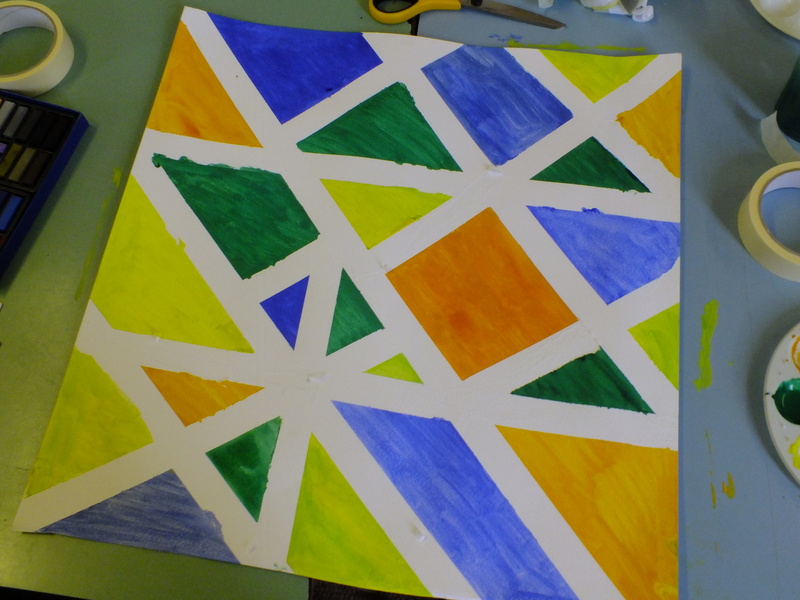 We took two or more pieces to combine, and used acrylic paints to paint cubist-inspired designs on them. 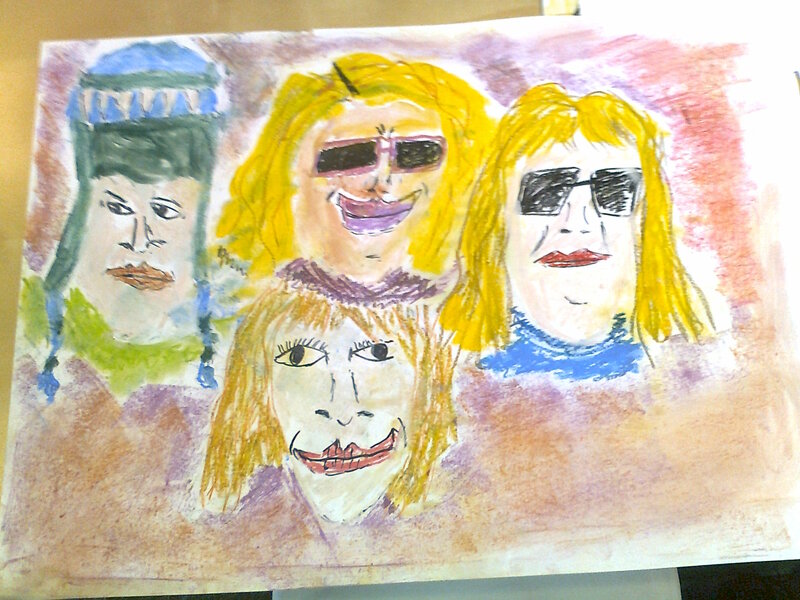 The group was a bit of a mixed session. 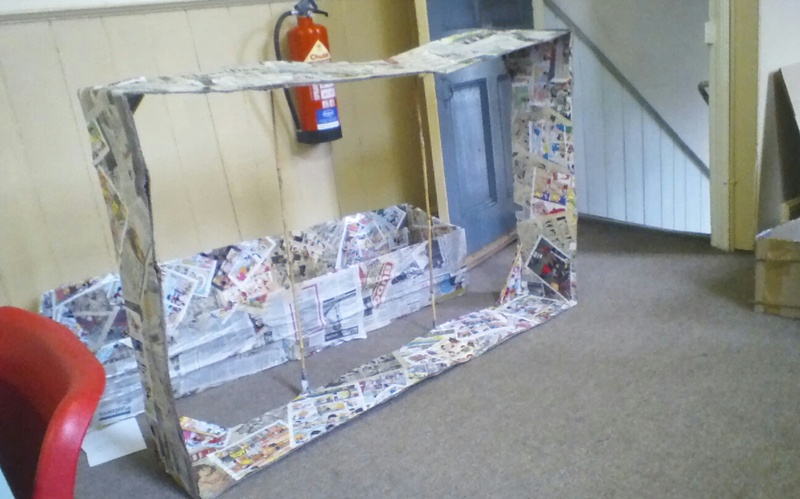 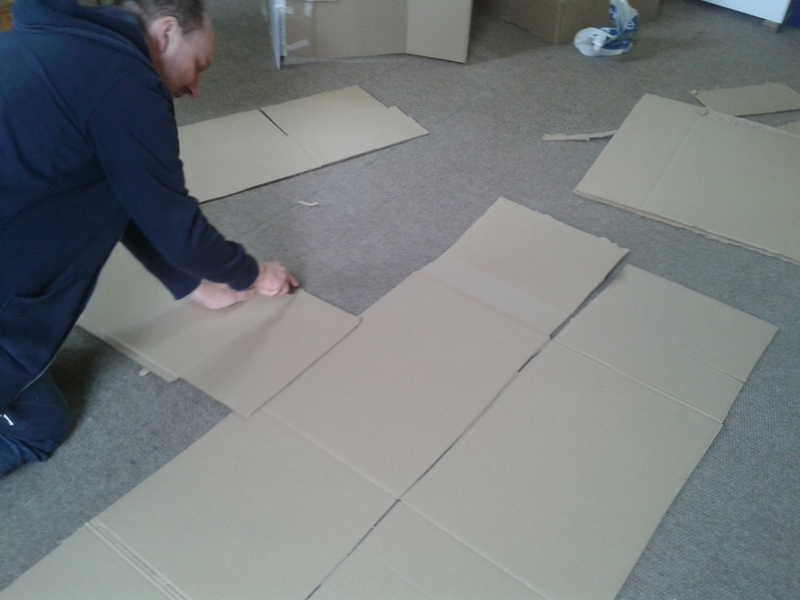 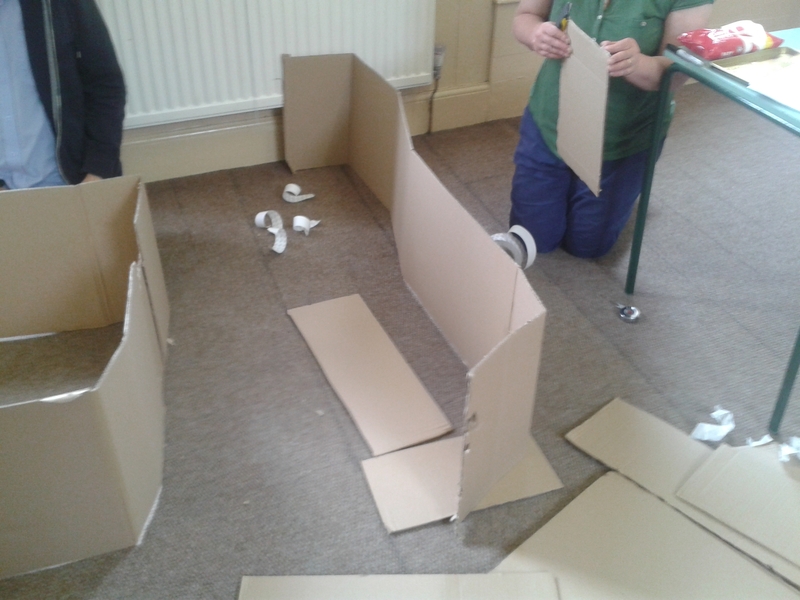 One half planned for Christmas and the craft items they were going to make to sell at shows like the Kendal Mayors Christmas Fair while the other half set about constructing the boxes we needed for the shop window display for the Comic Arts Festival. 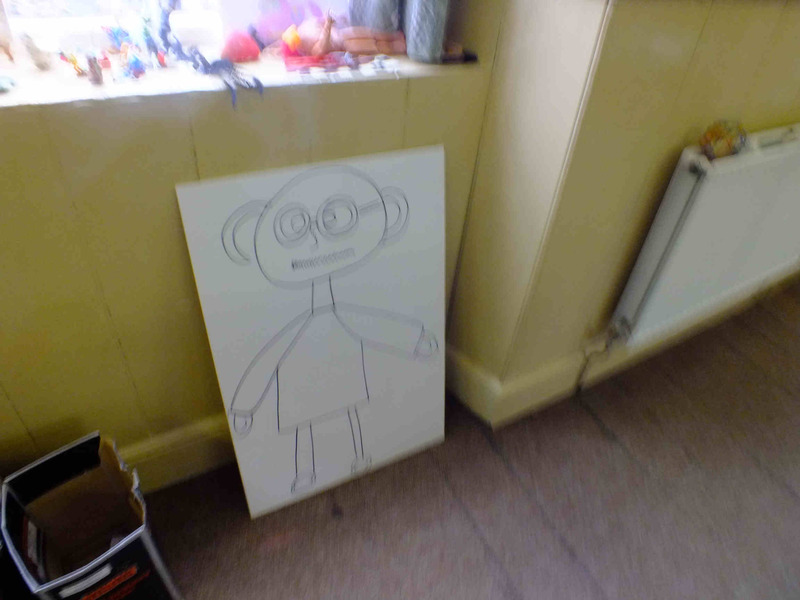 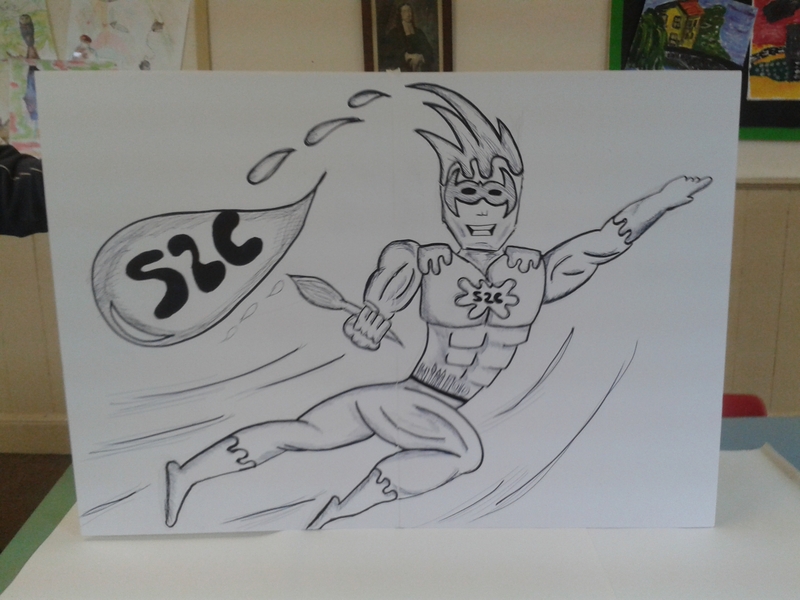 Captain S2C was bor and rendered up in giant size on foam board ready for the window. 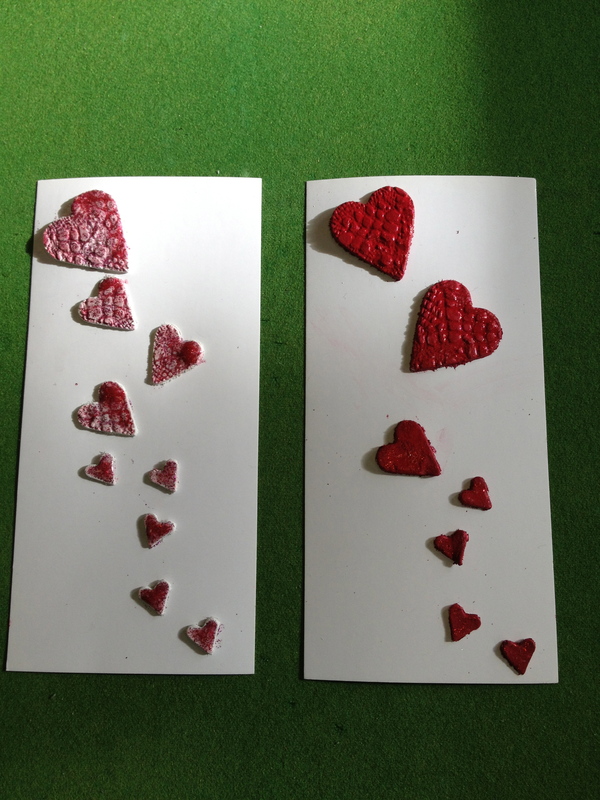 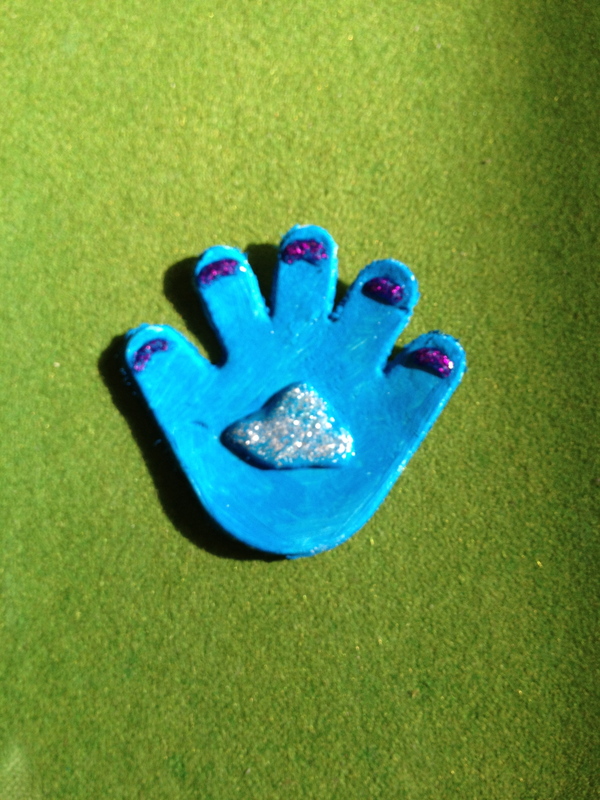 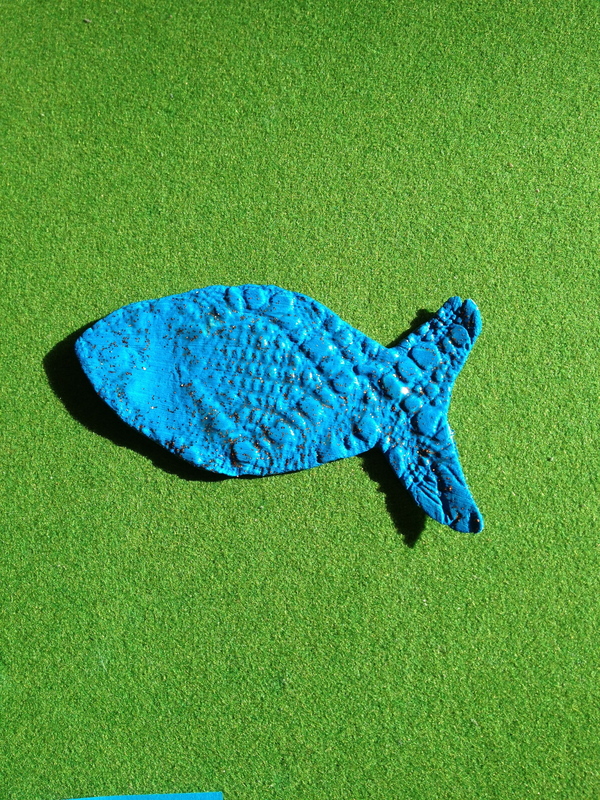 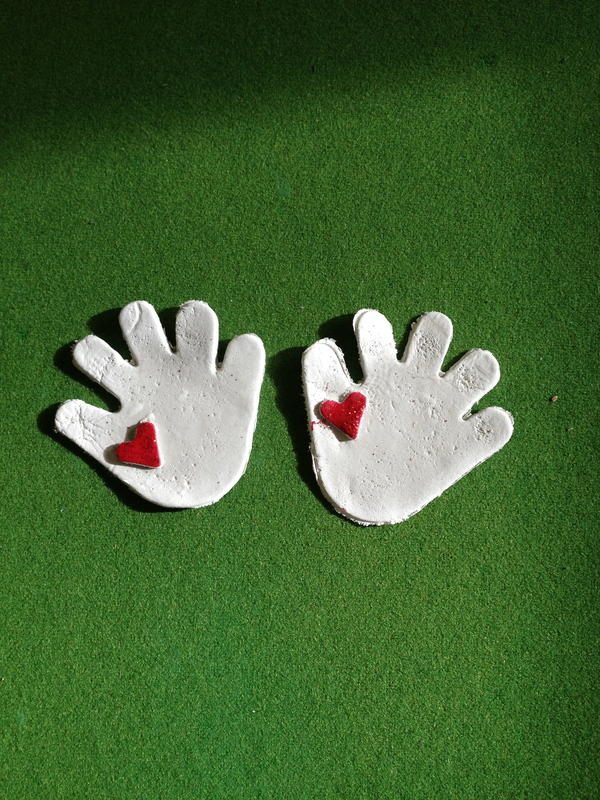 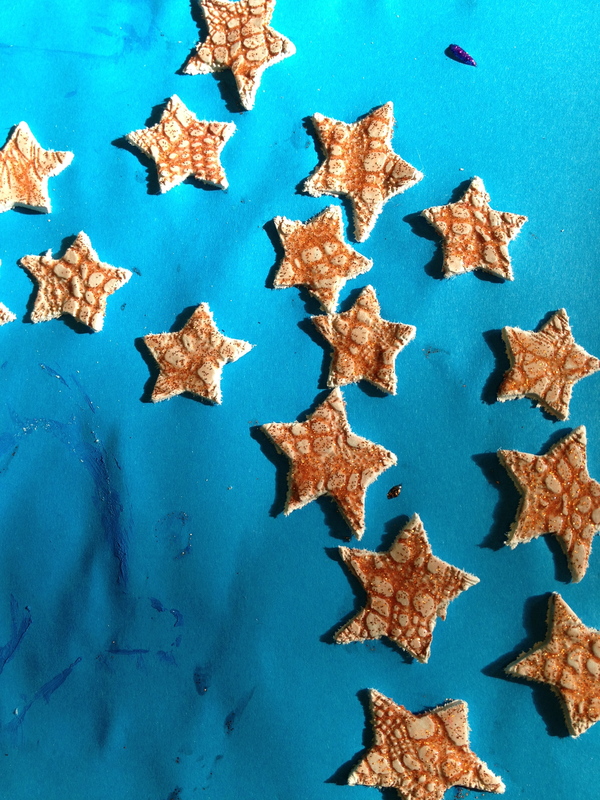 Sally and Julie ran a quiet but enjoyable session using air-dry clay, paints and glitter to create some pleasing effects. 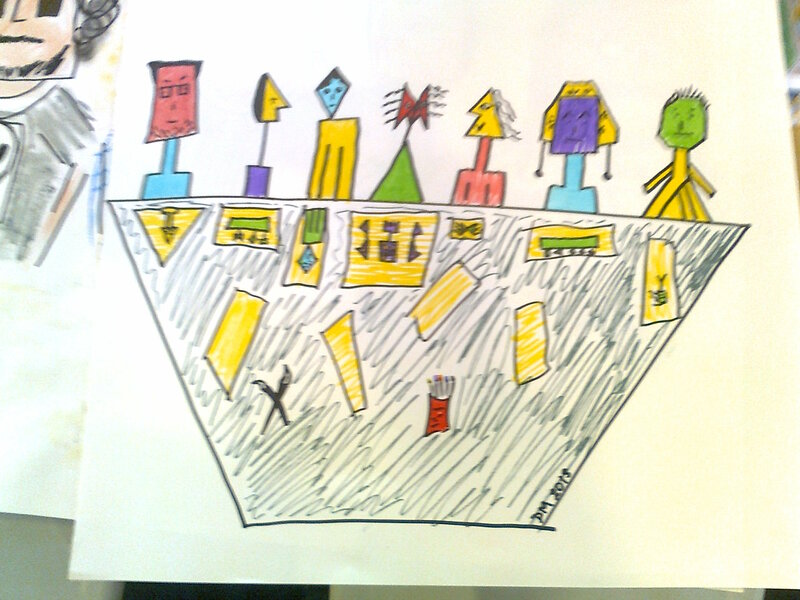 make up our 3-D comic window page in Waterstones. 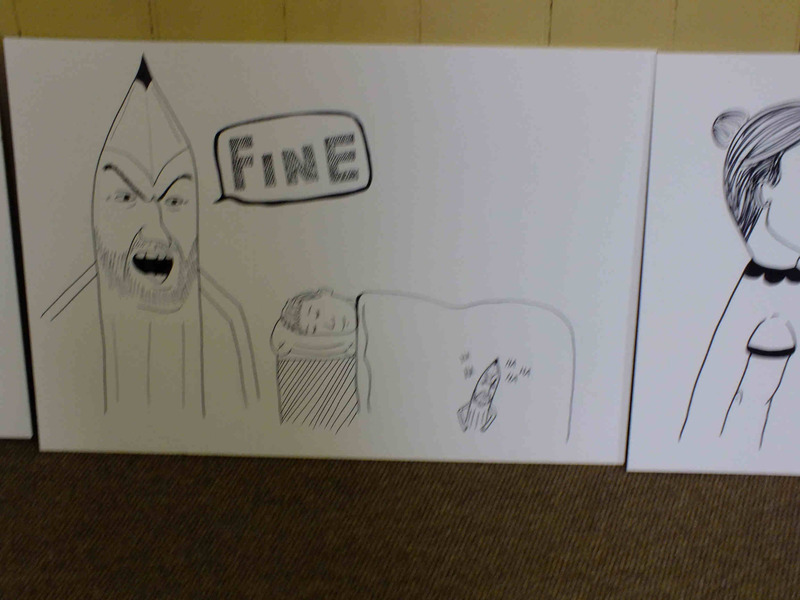 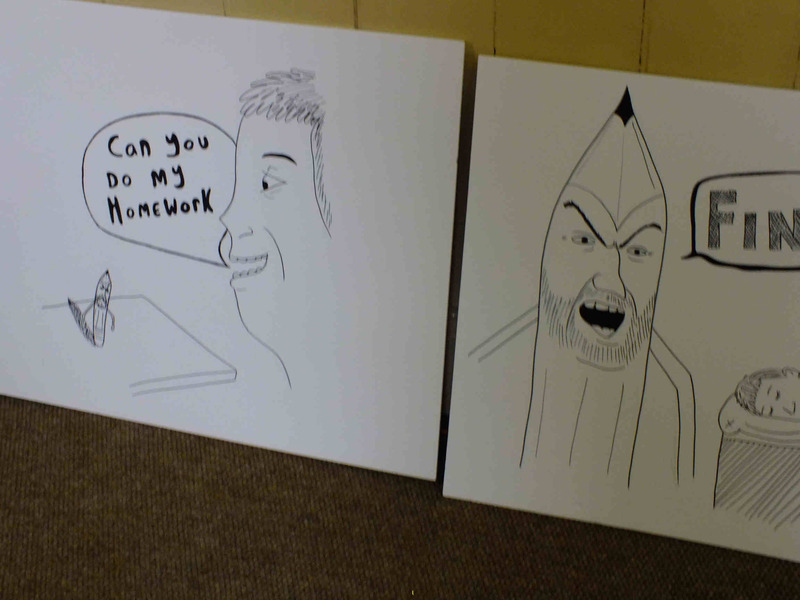 These will be cut out and stood up to give a 3-D comic effect. 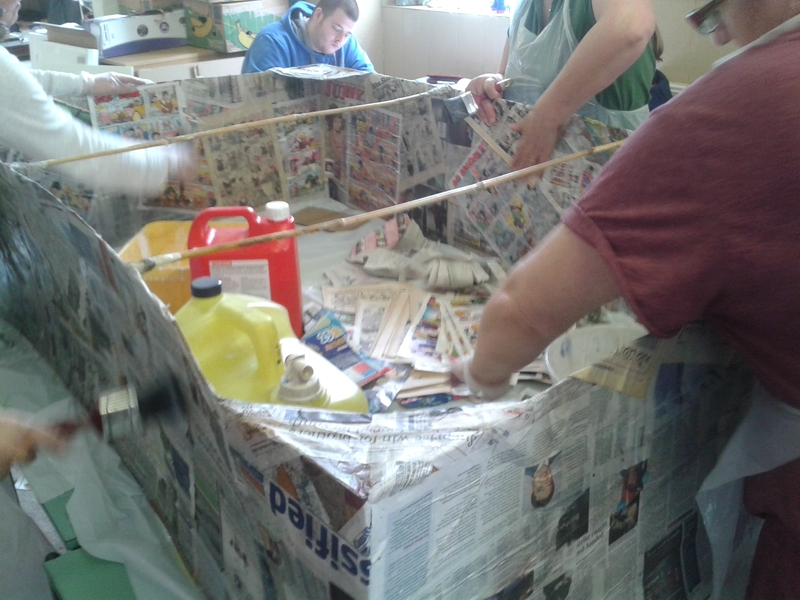 Looking good!! 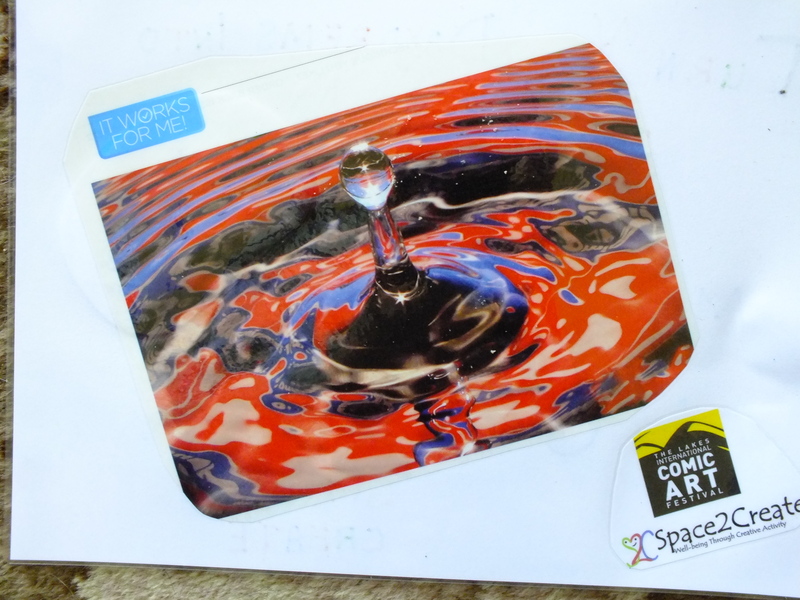 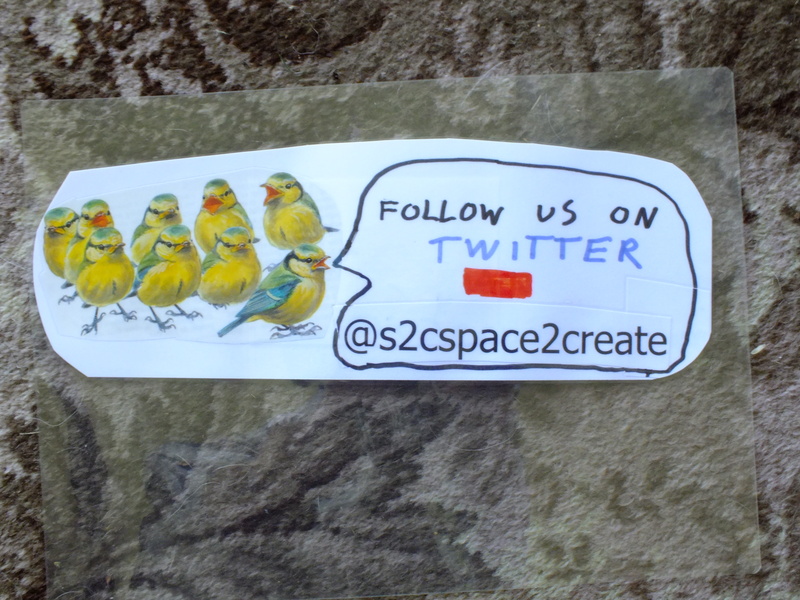 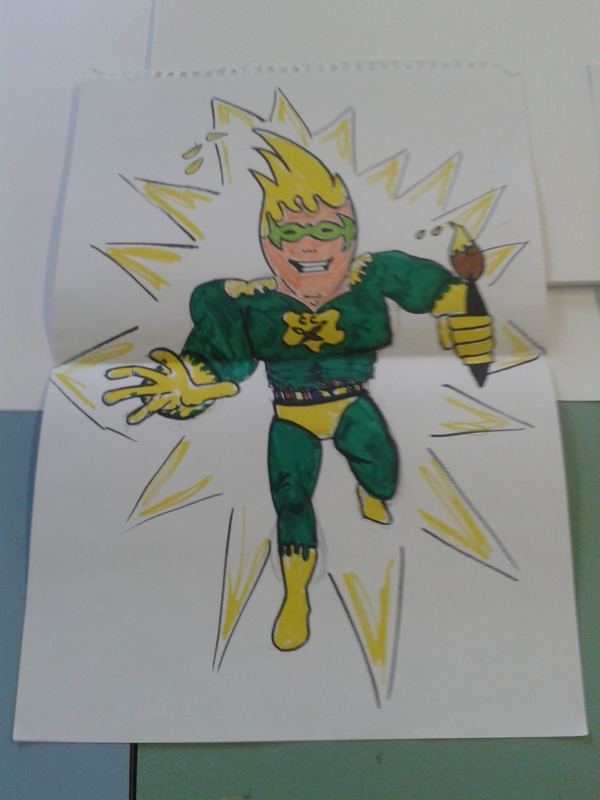 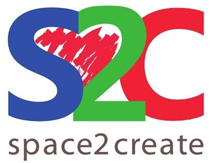 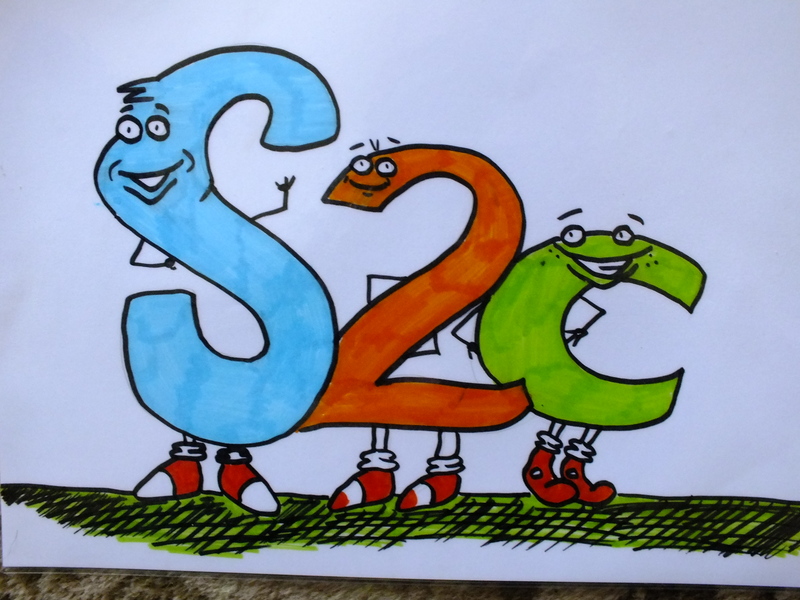 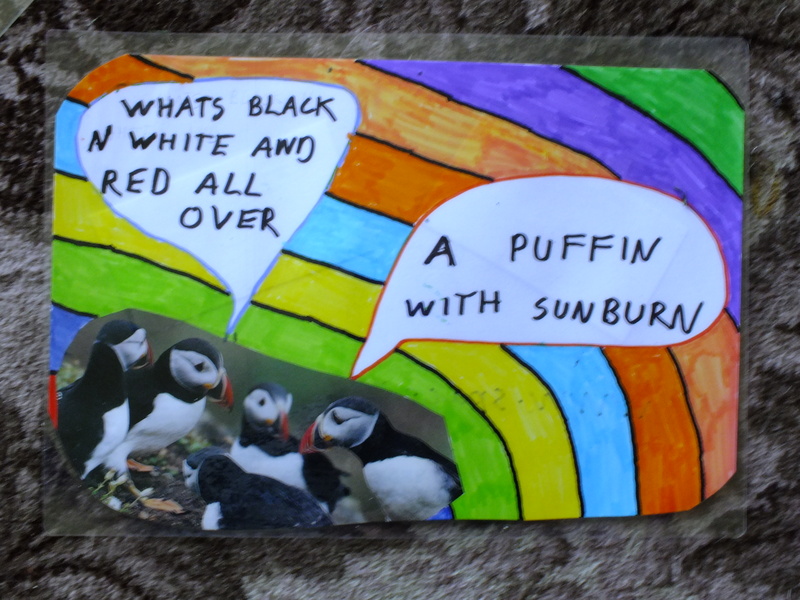 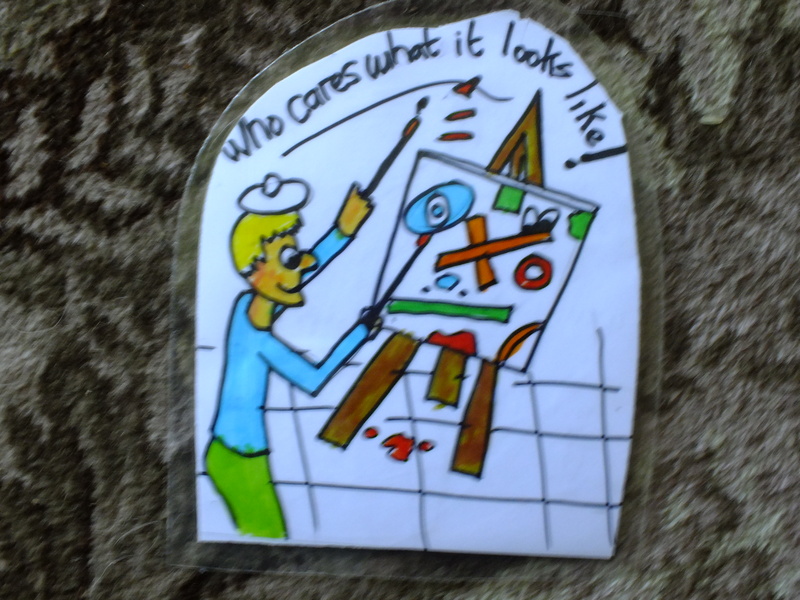 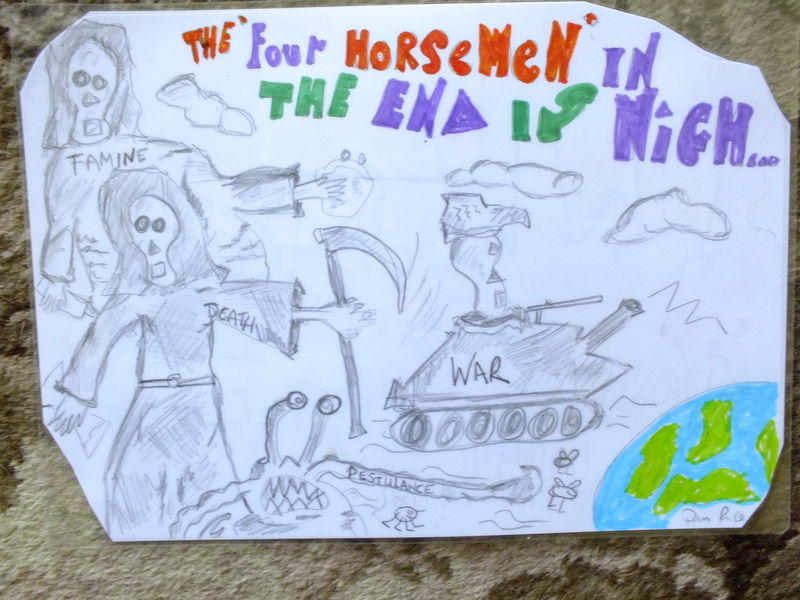 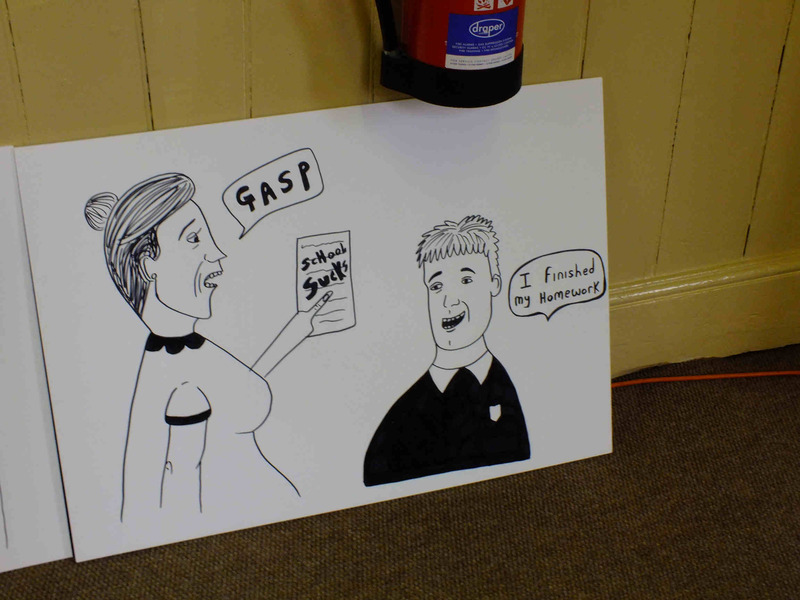 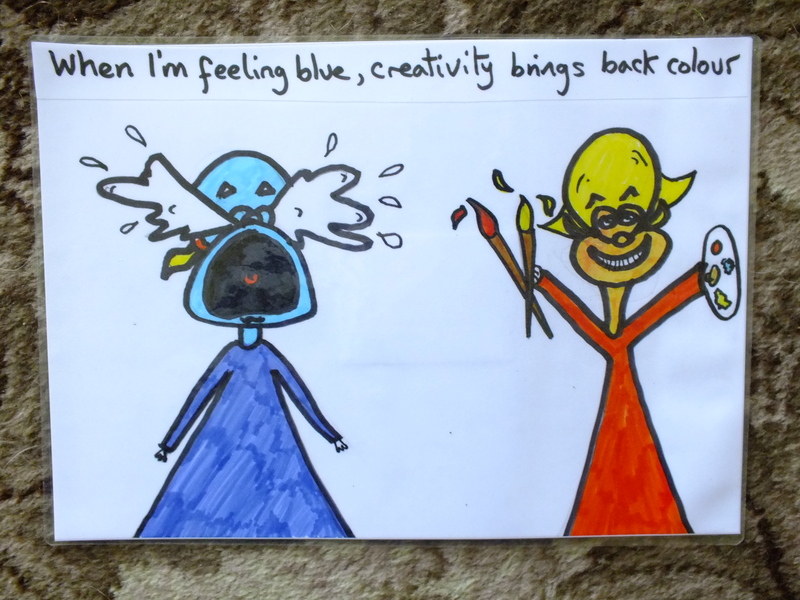 As part of Space2Create’s Comic Arts Festival madness we are going to drop some quirky little bits of comic and other art around Kendal for people to find. 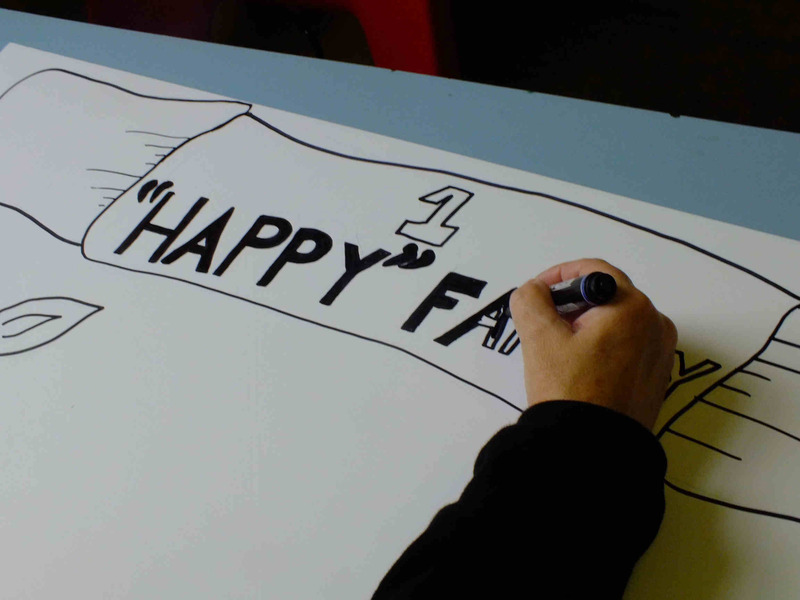 We simply drew and wrote some wellbeing-related phrases and contact details, then laminated and trimmed them. 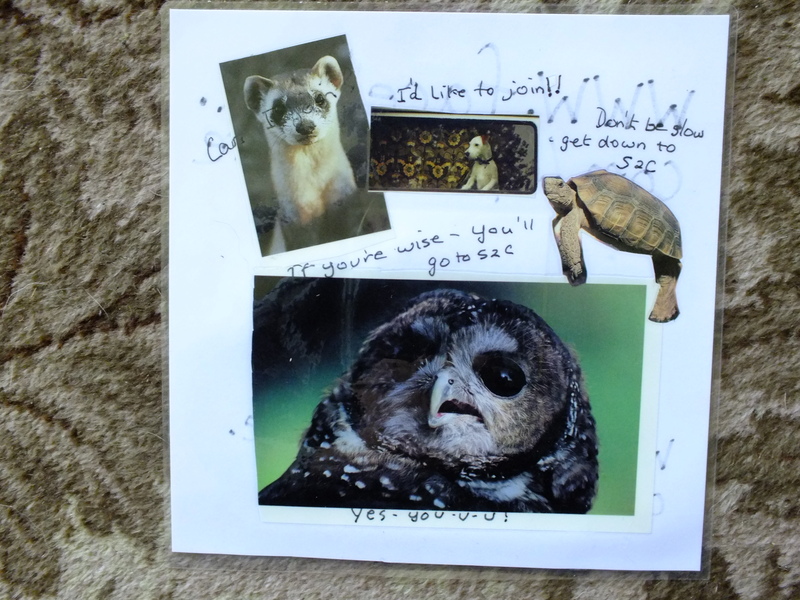 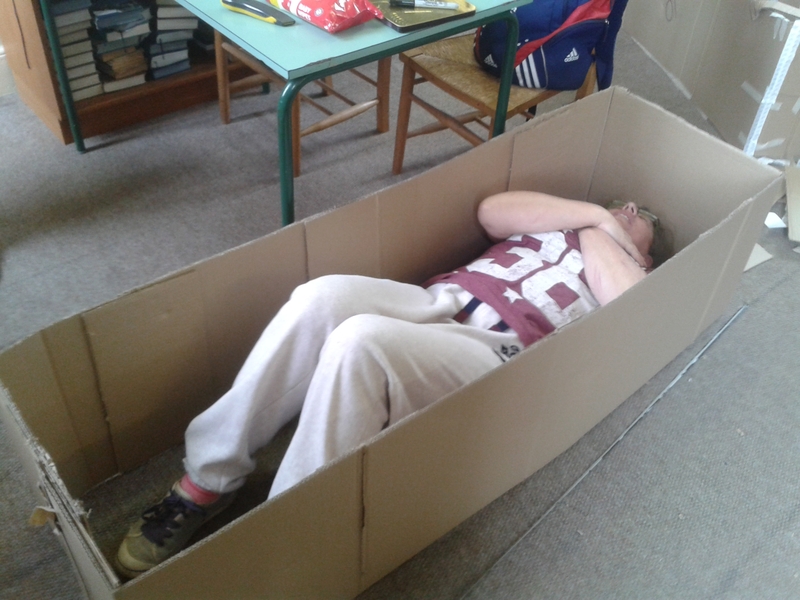 Watch out round Kendal soon! 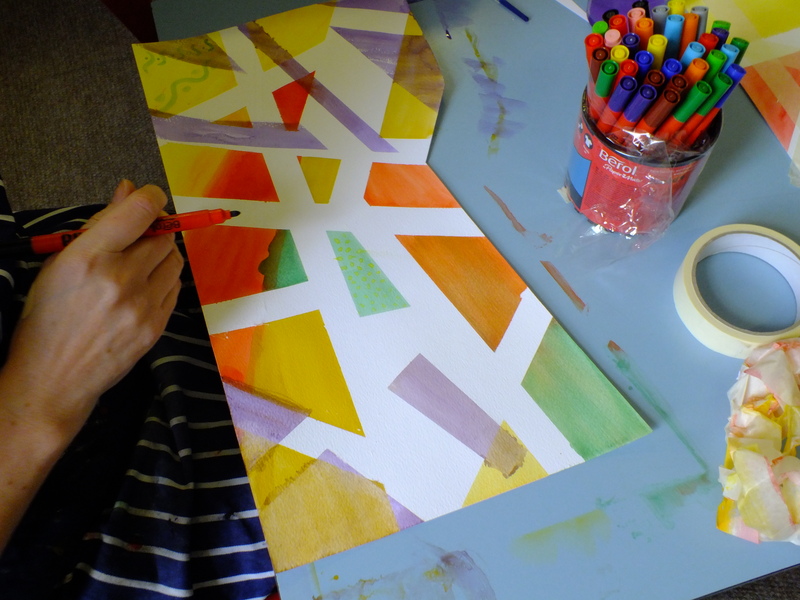 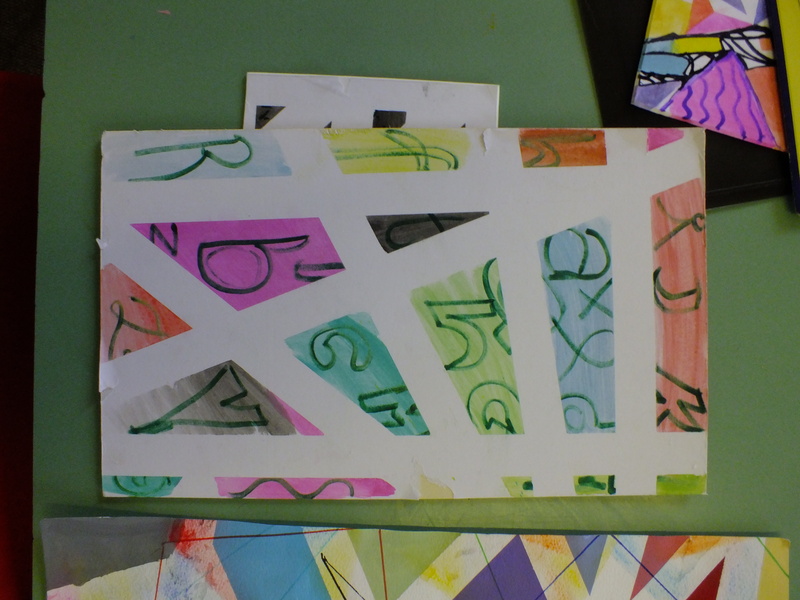 In a quiet but enjoyable session, Jo and Carl continued the theme of applying masking tape to card, filling with blocks of colour, removing the tape and then repeating the process using different shapes and media to gain a layered effect. 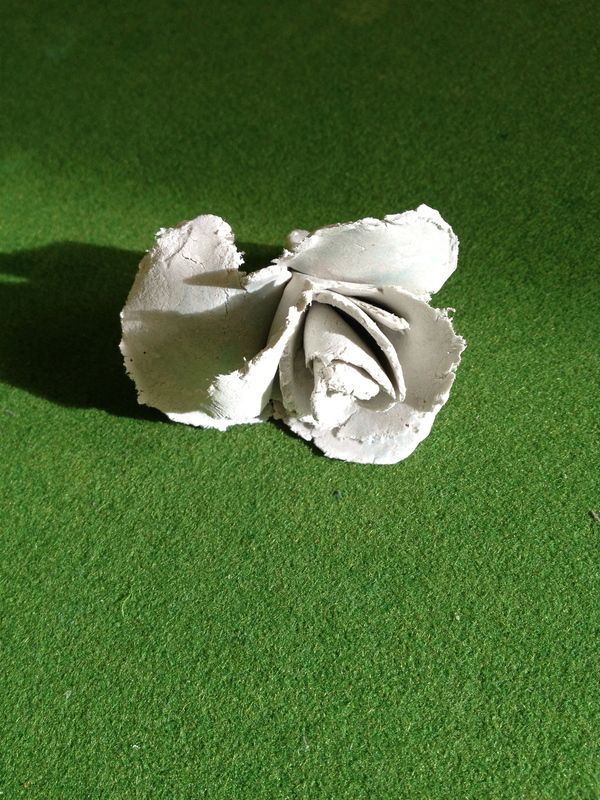 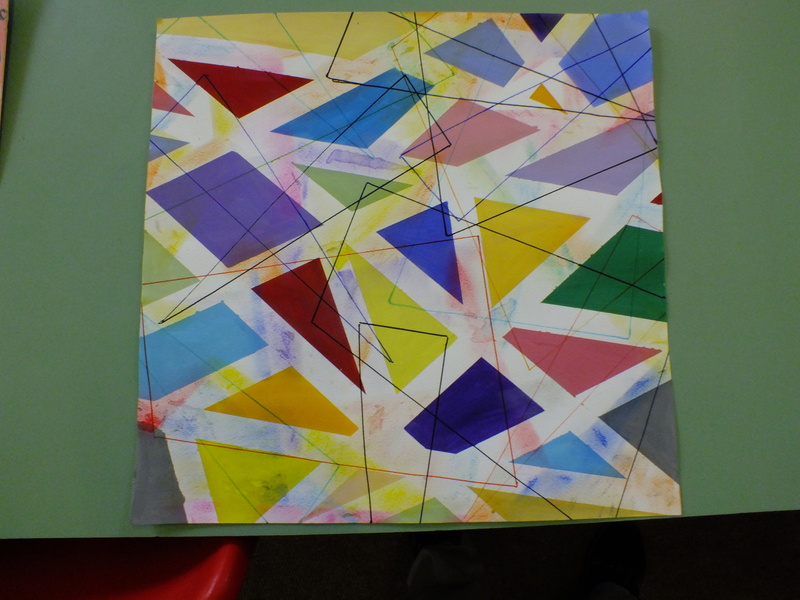 Experimentation was the watchword, and interesting art was produced. 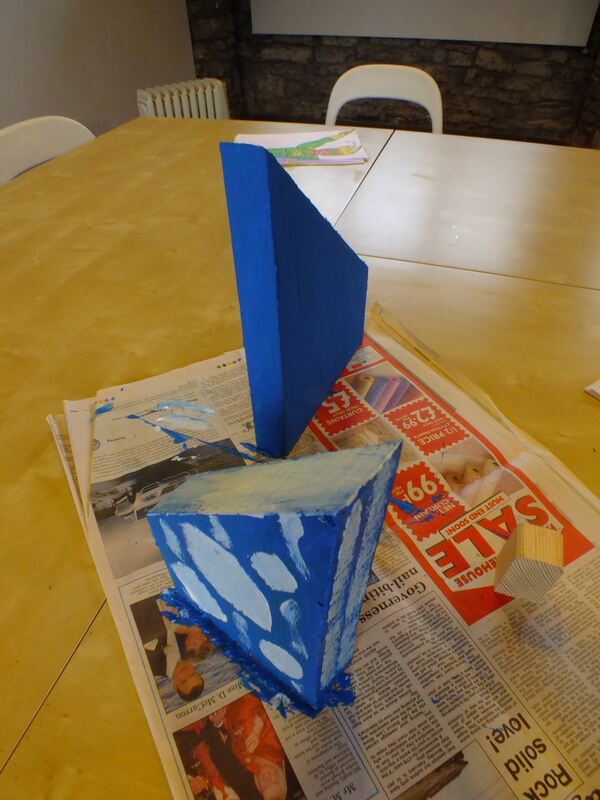 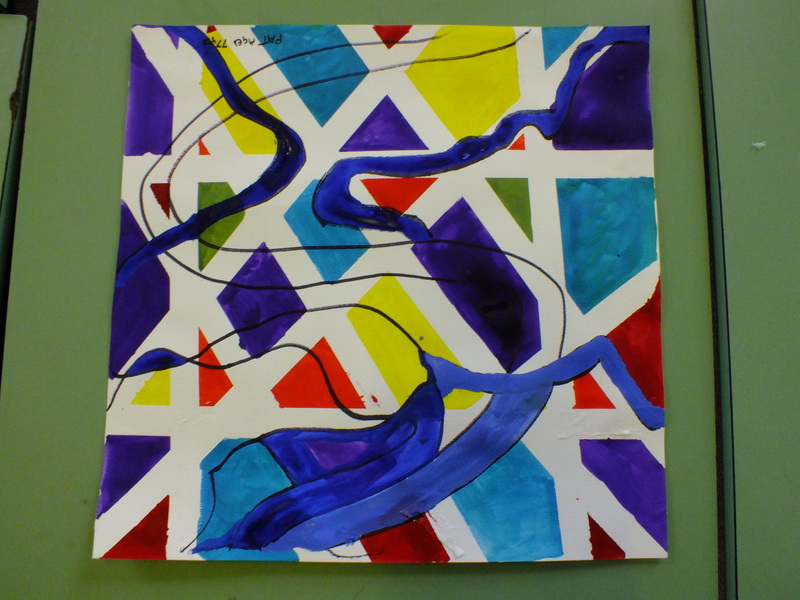 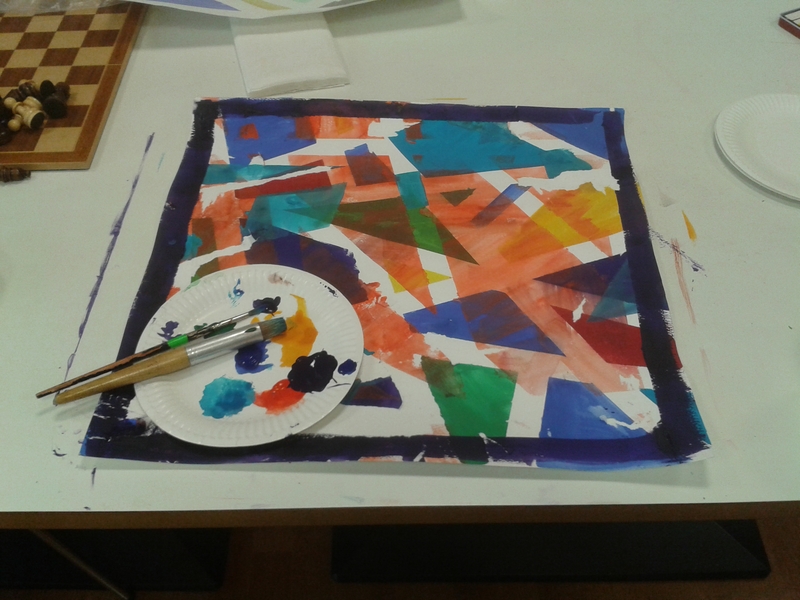 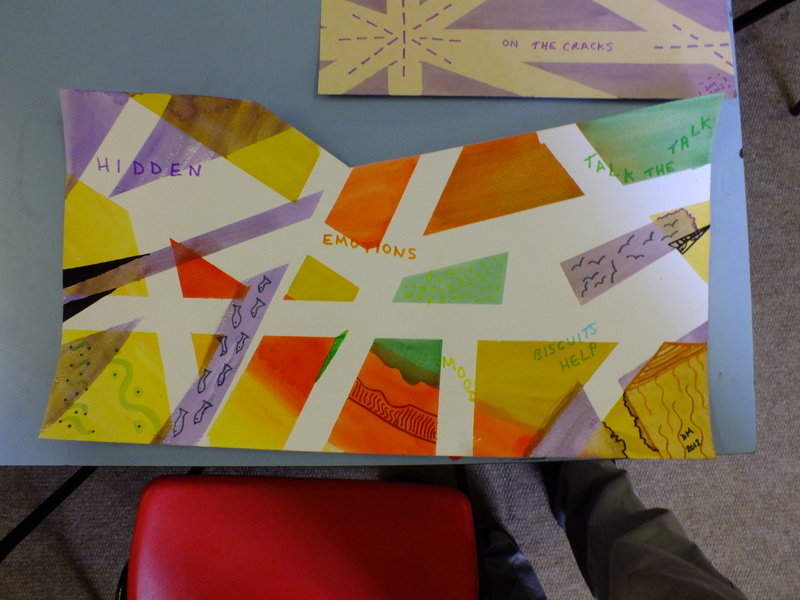 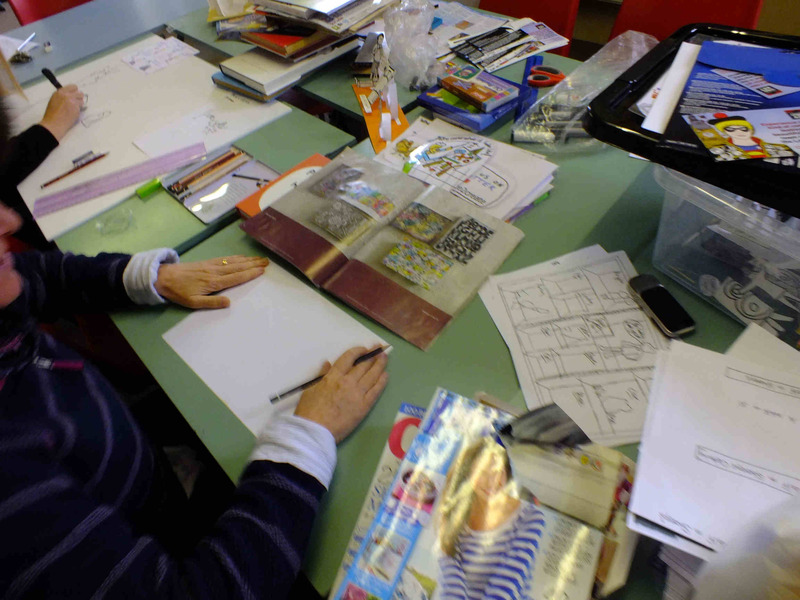 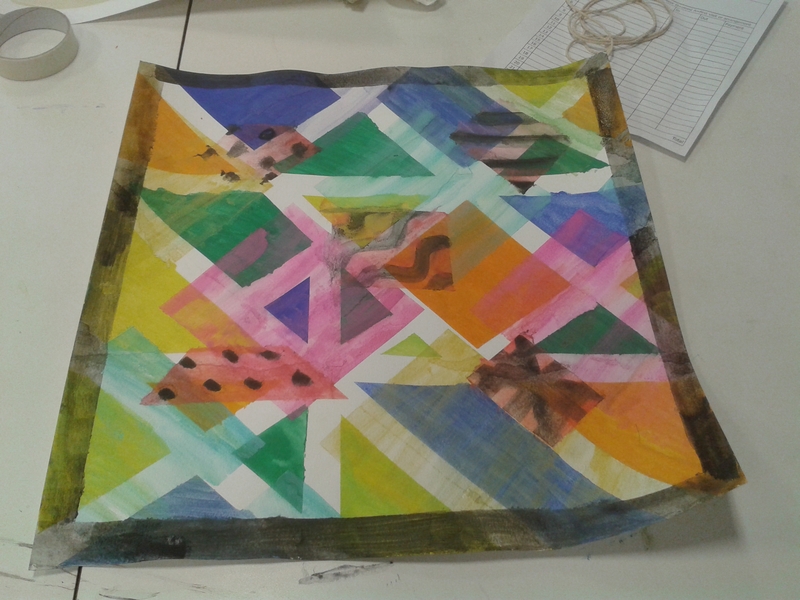 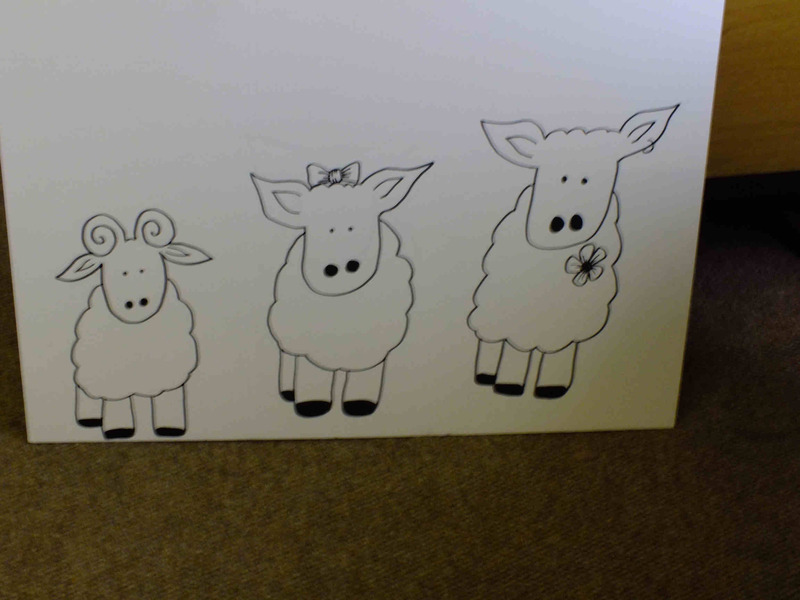 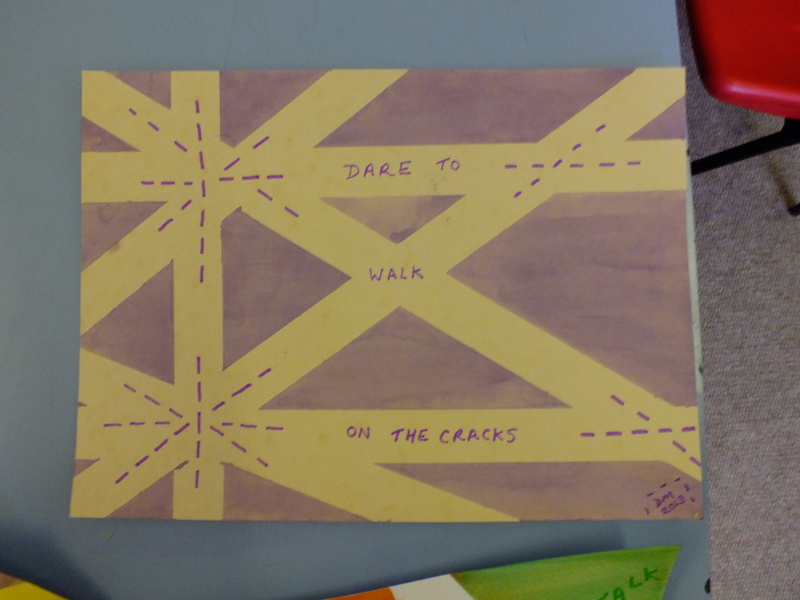 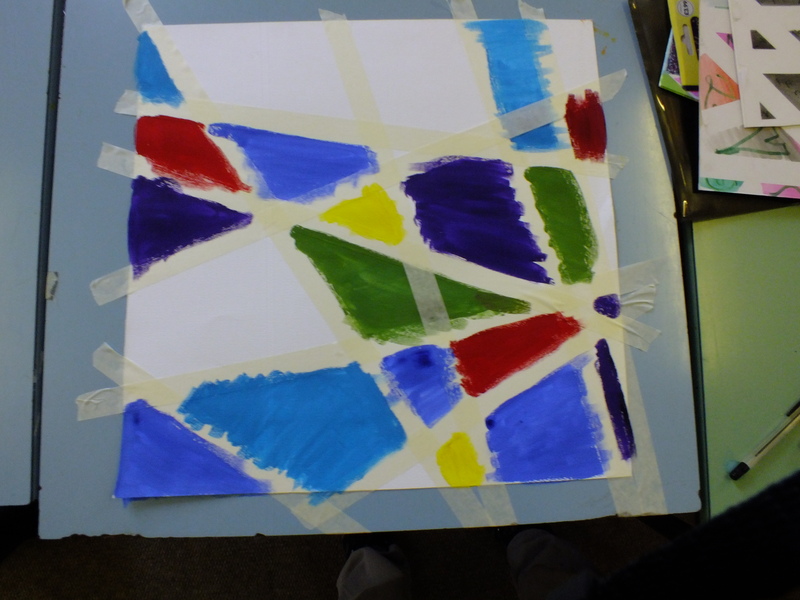 The 2Create group had a good session exploring using masking tape to create layers. 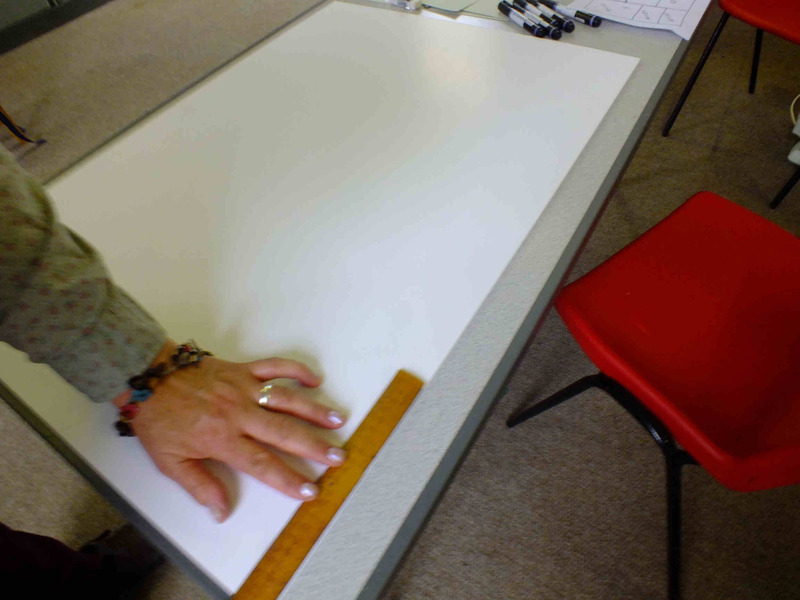 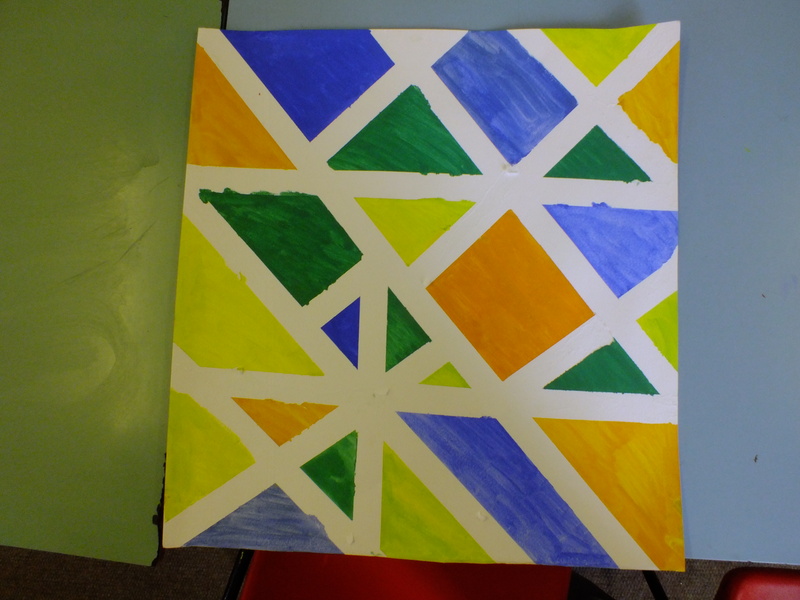 They covered paper with strips of masking tape in random patterns then applied a range of coloured paint. 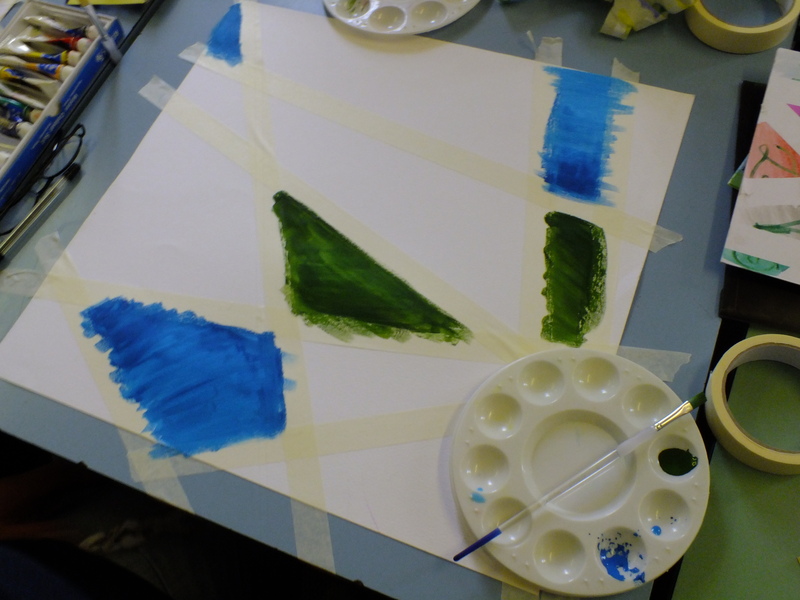 Before the paint is dry the tape is pulled away leaving sharp clean edges. 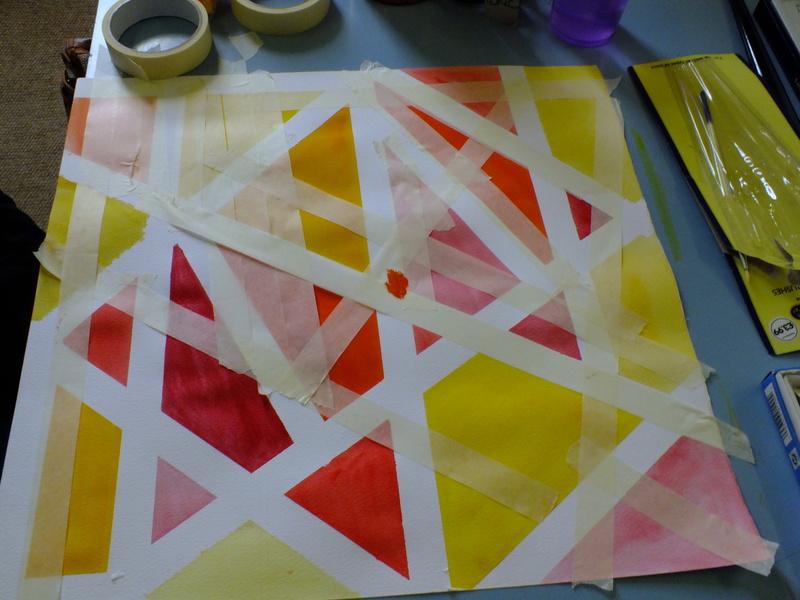 Another layer of masking tape strips and then another selection of coverings which can be in a range of media, and so on building up the layers.